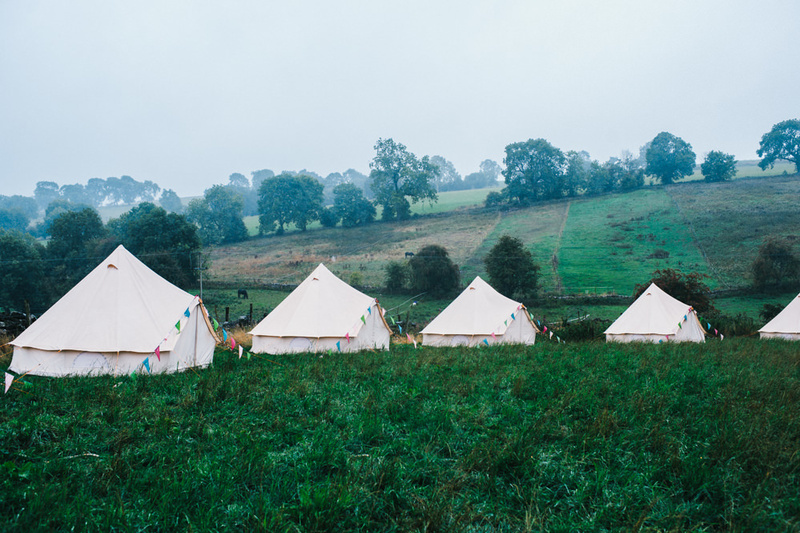 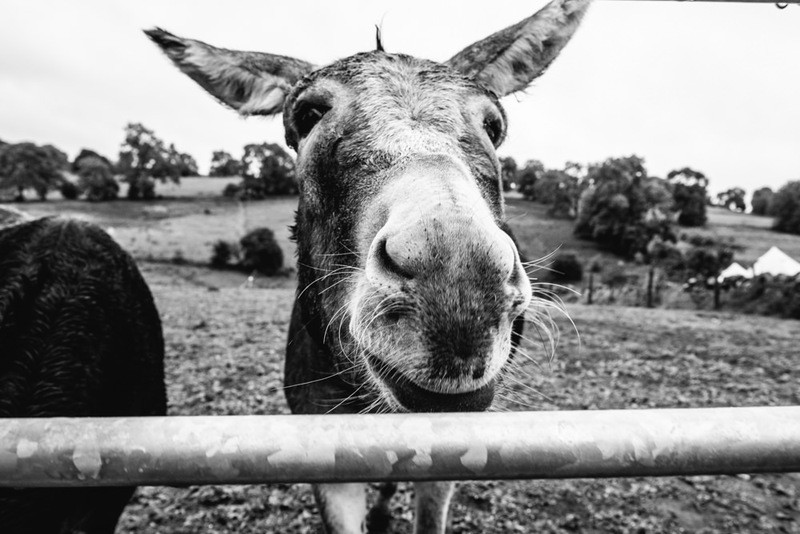 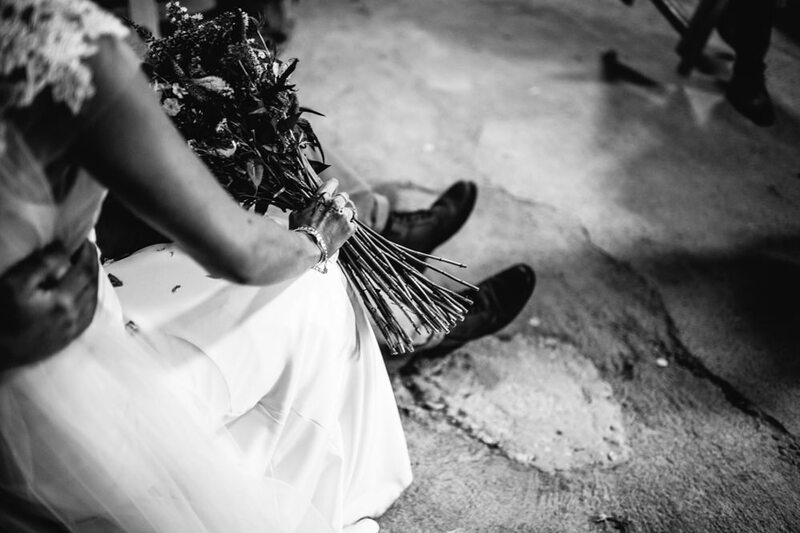 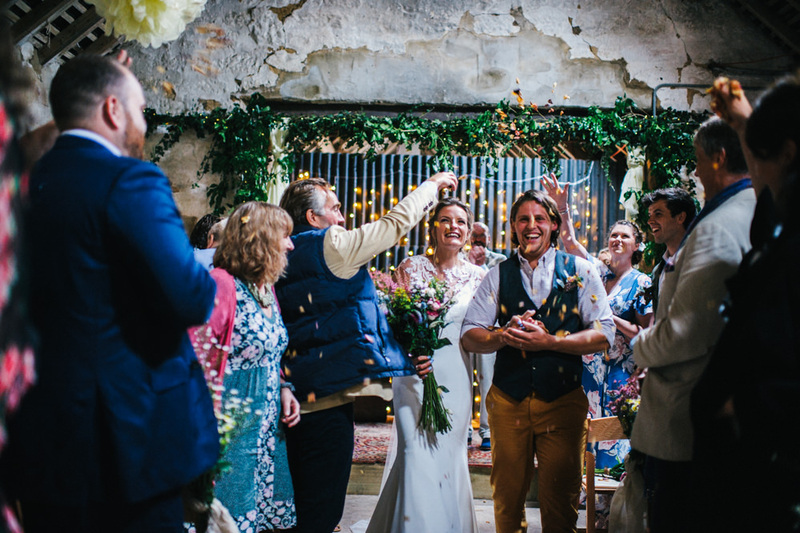 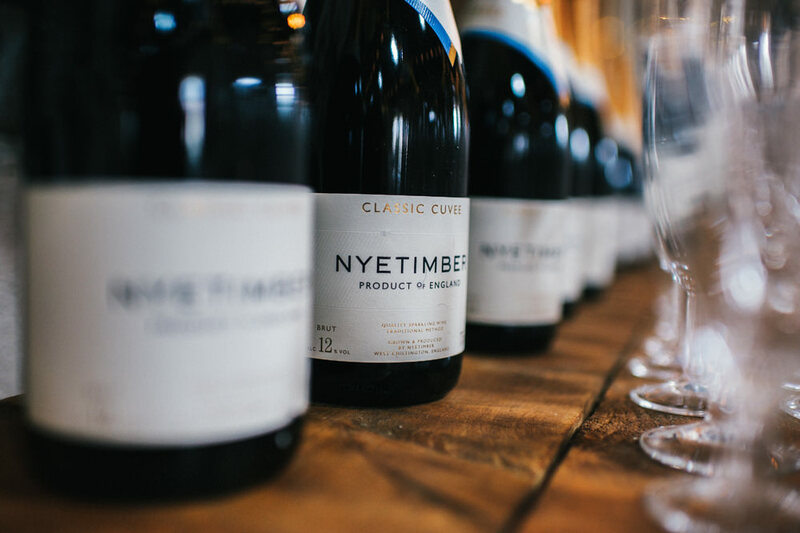 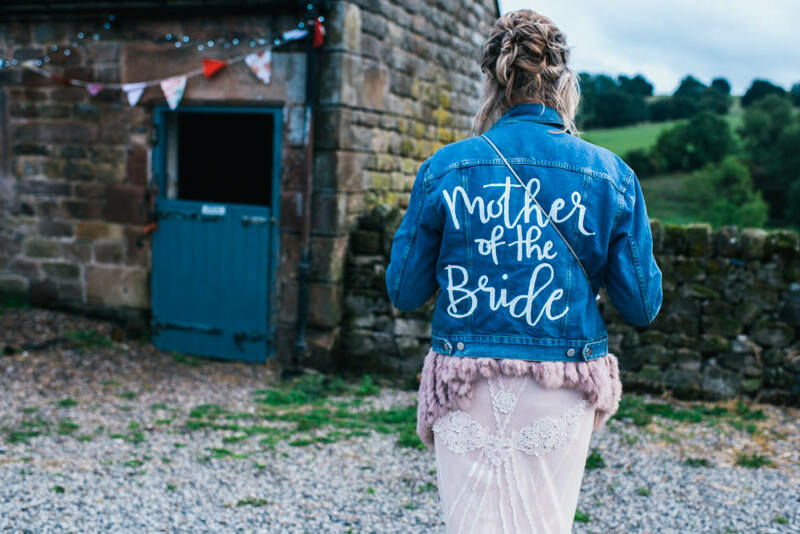 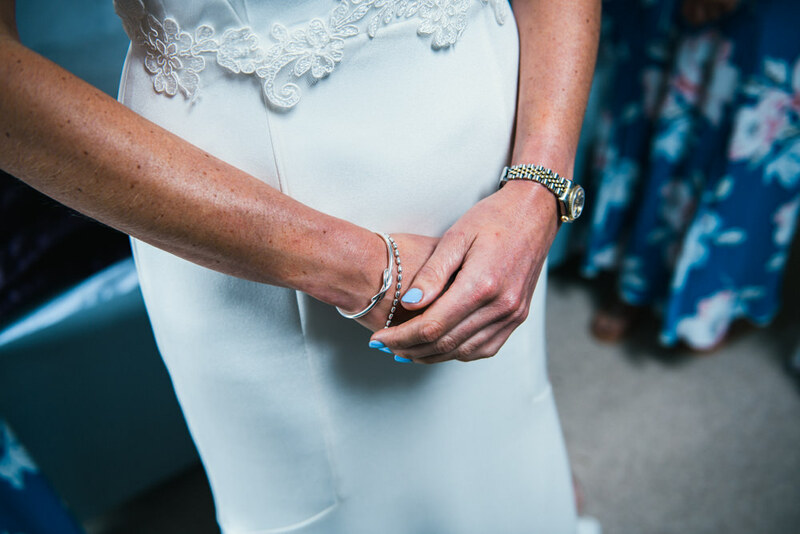 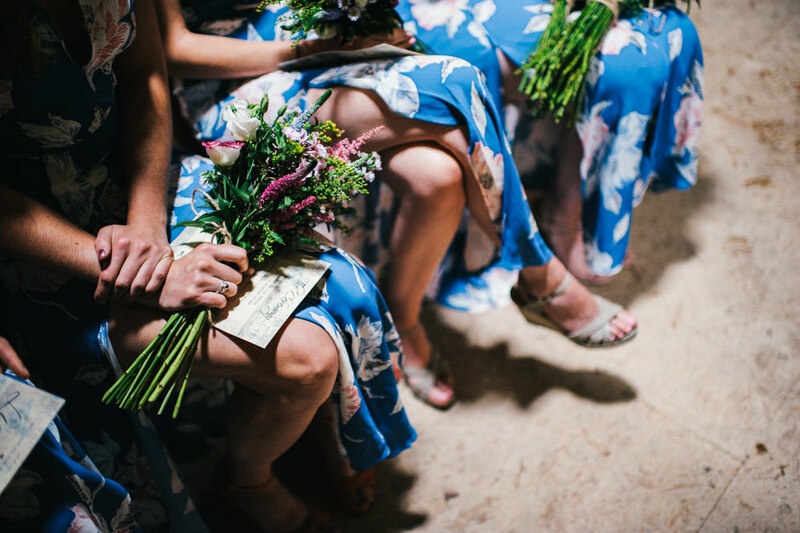 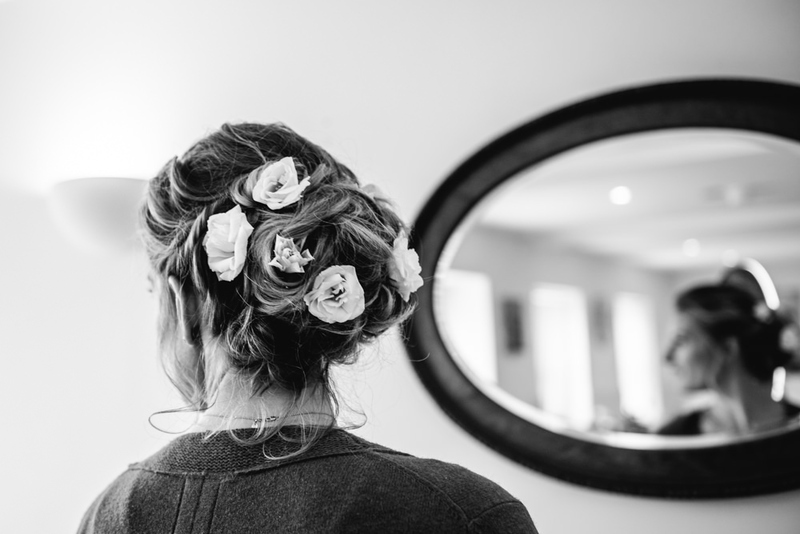 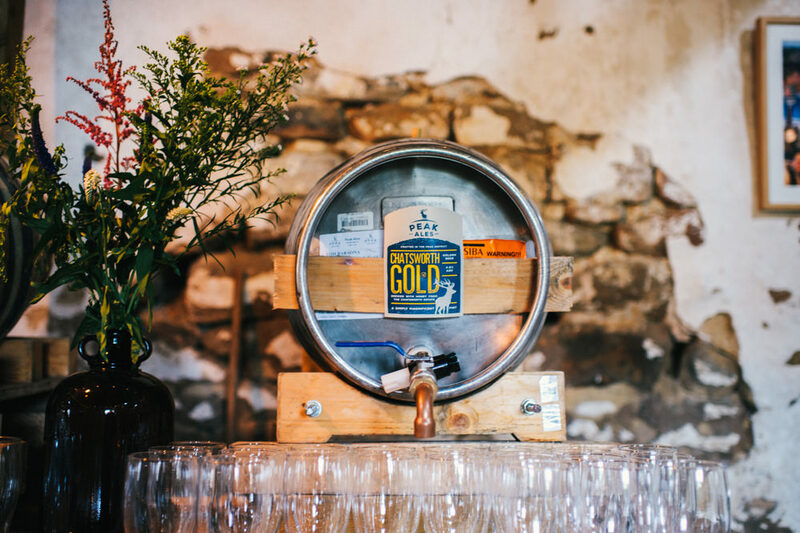 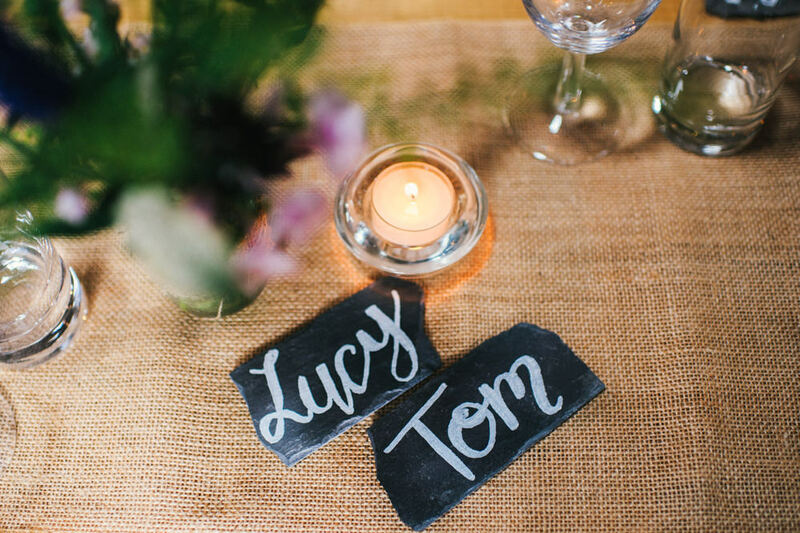 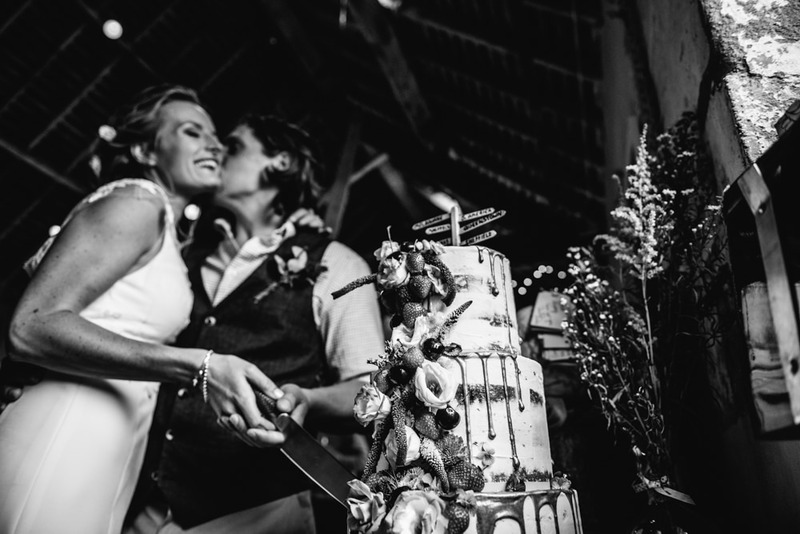 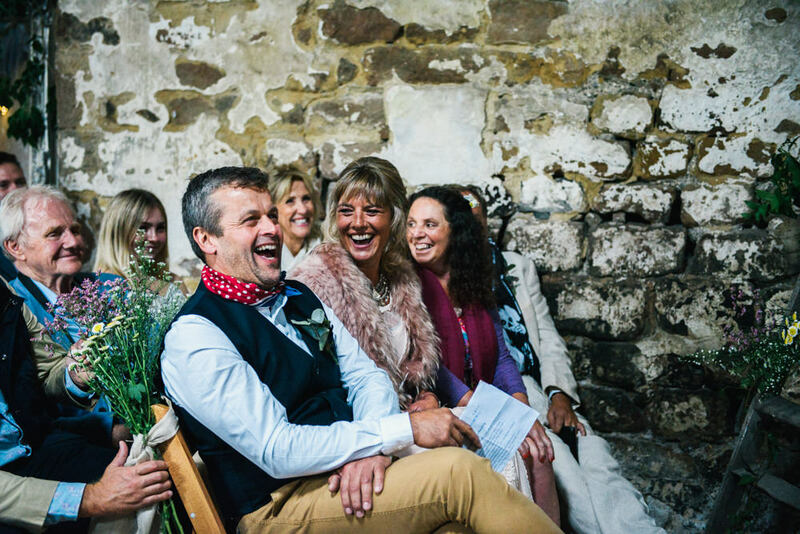 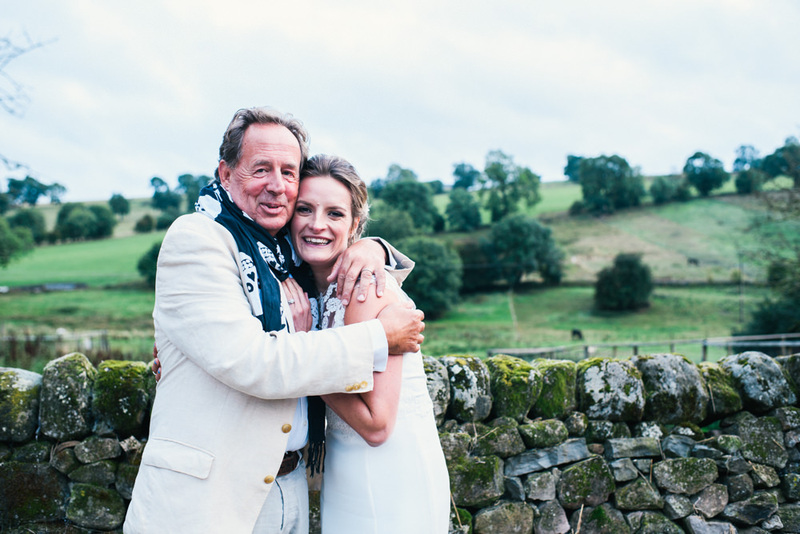 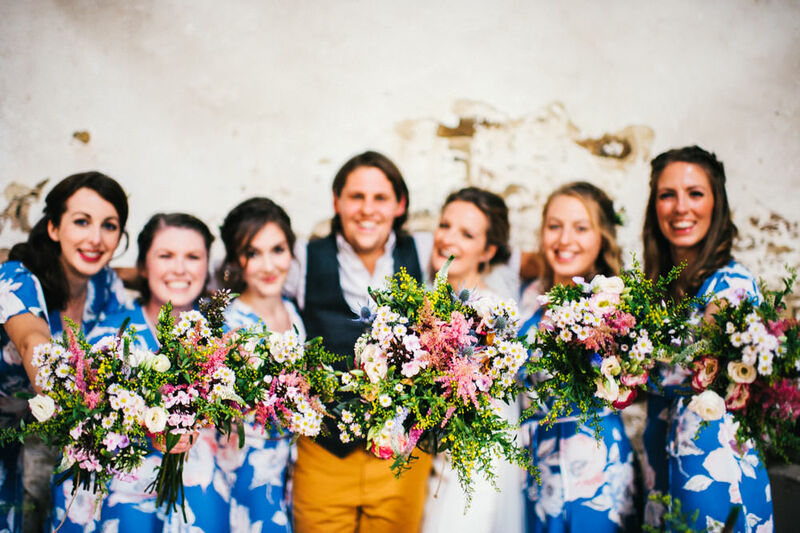 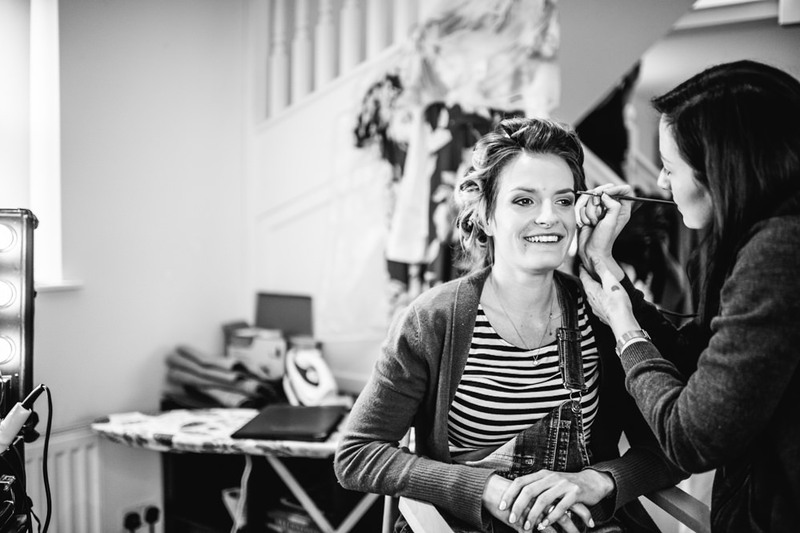 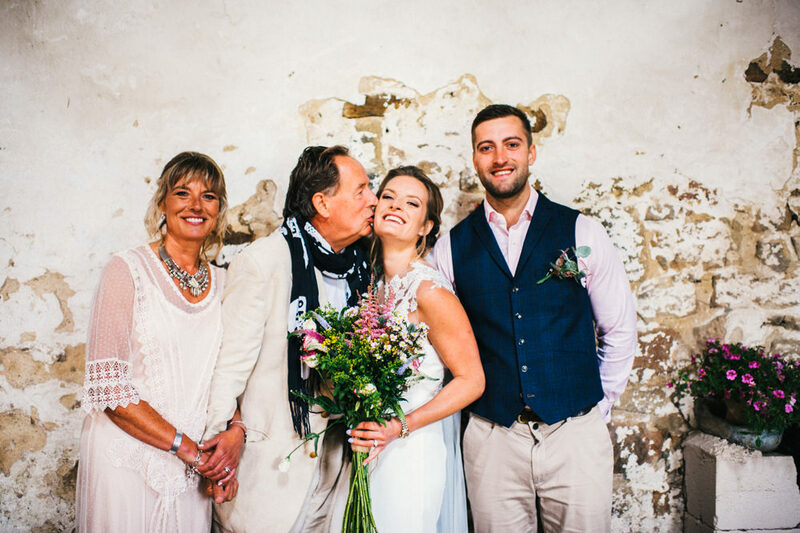 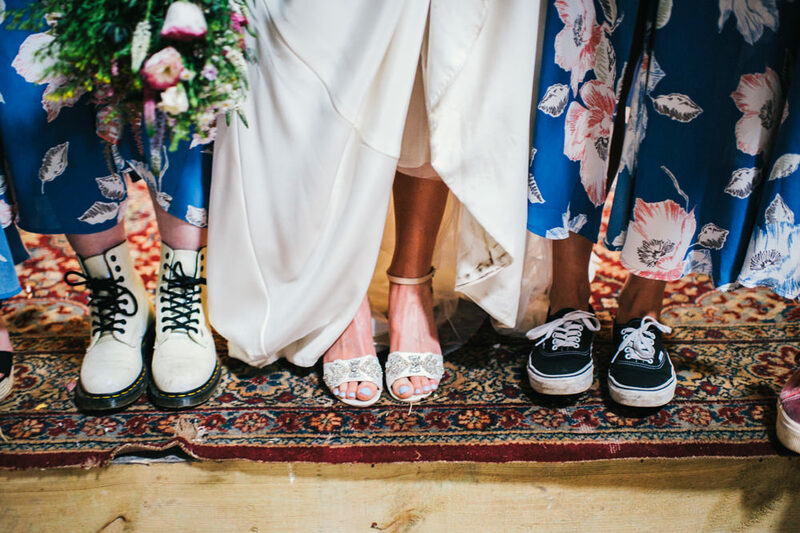 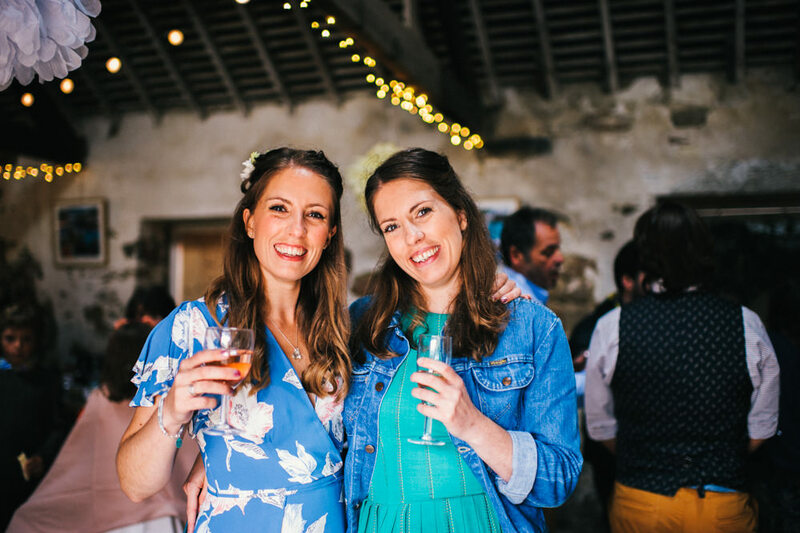 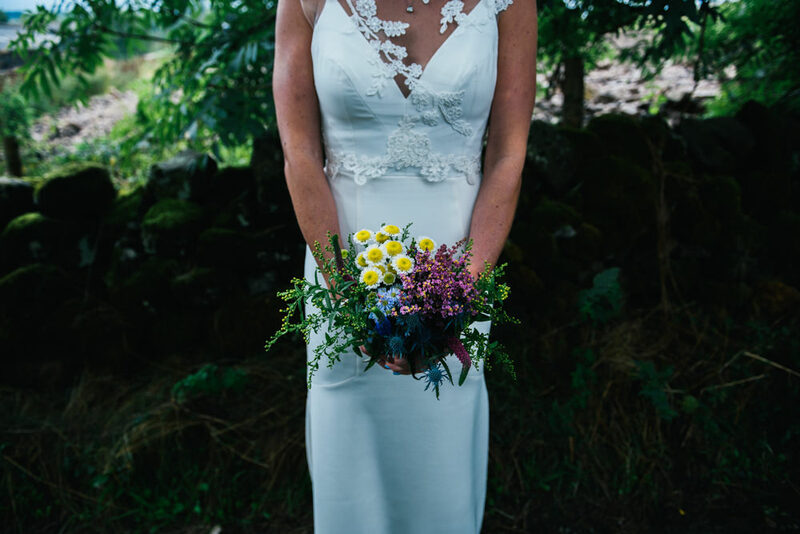 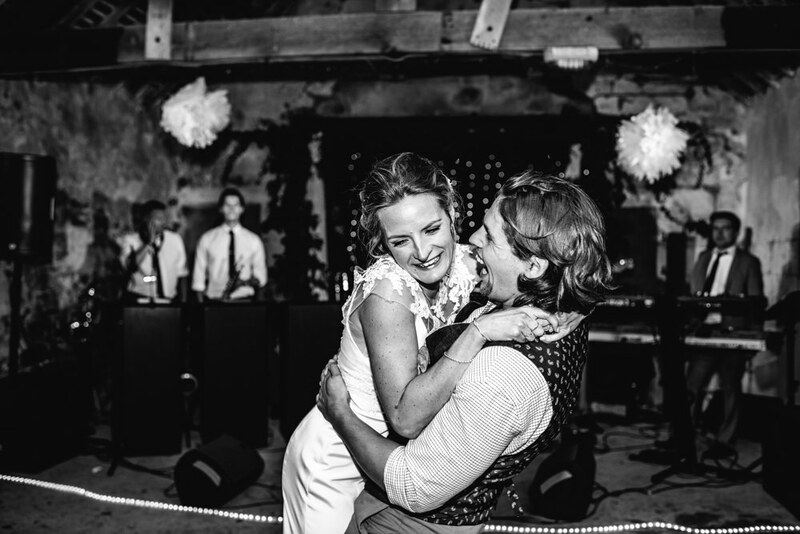 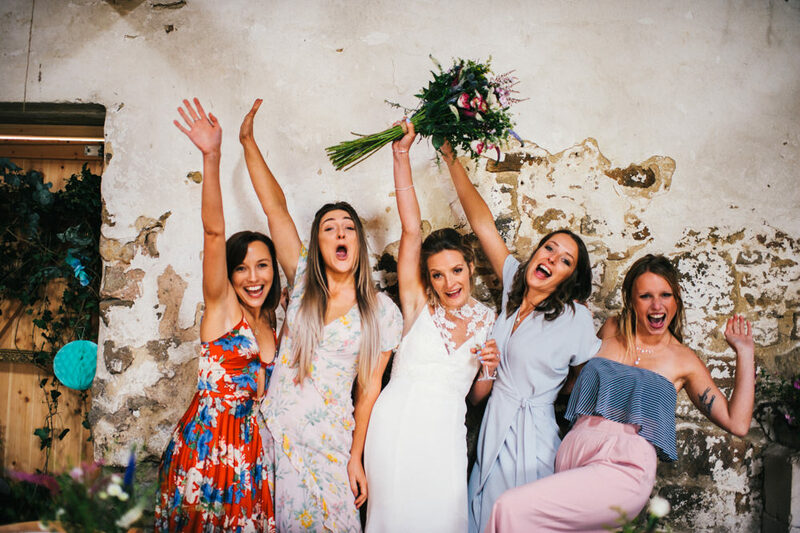 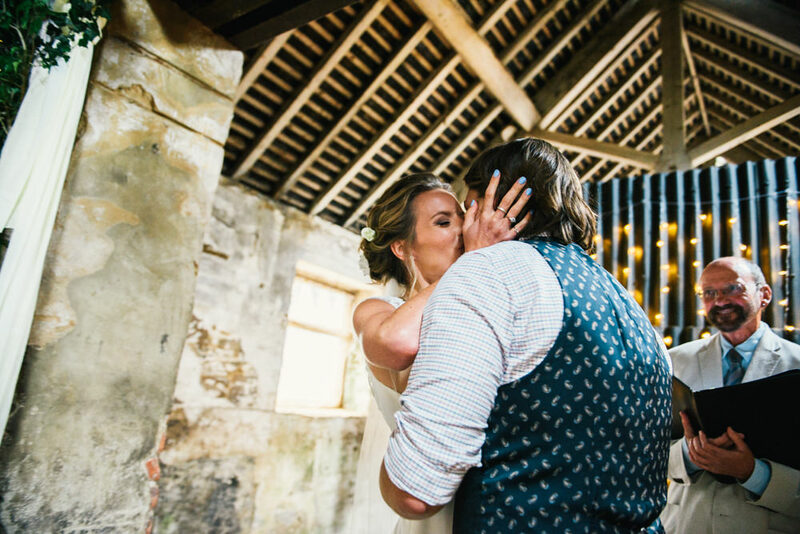 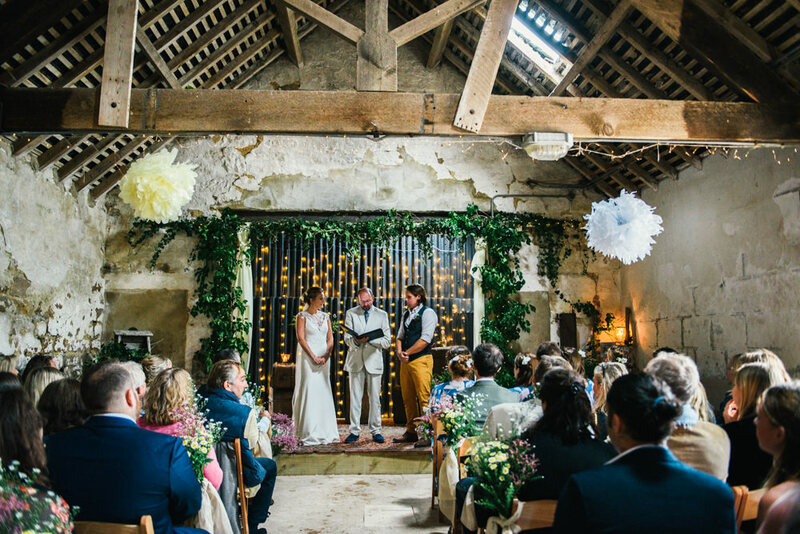 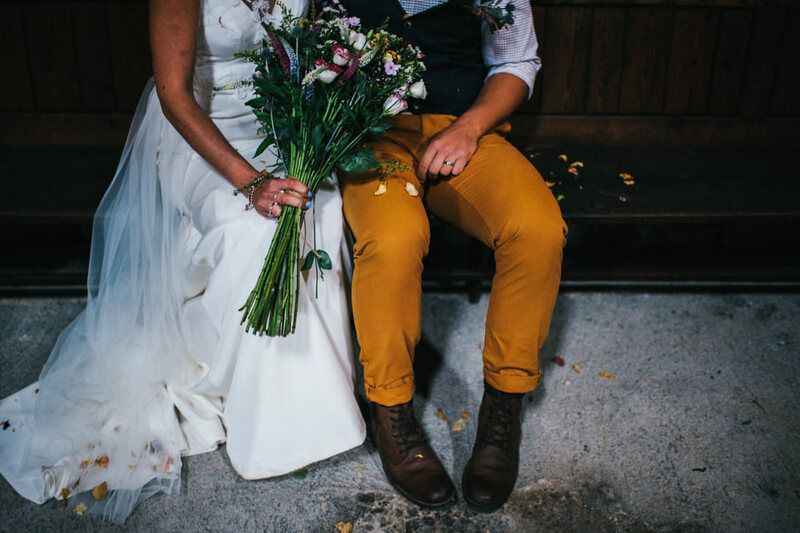 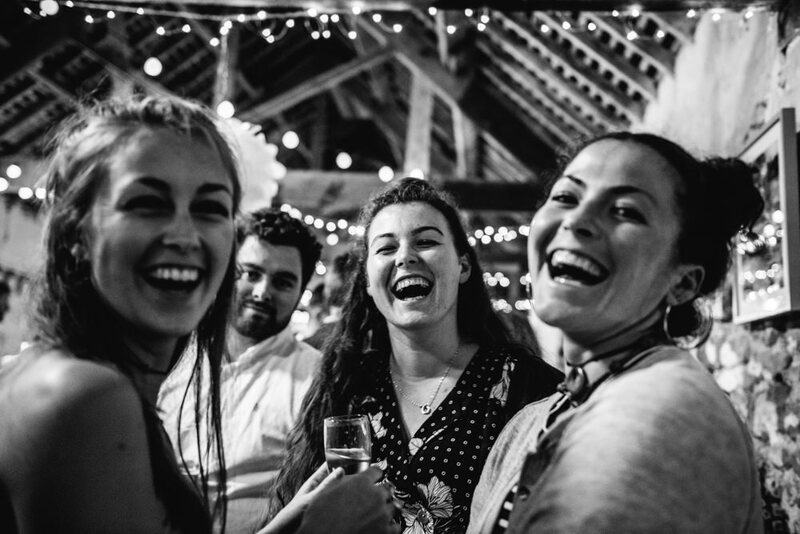 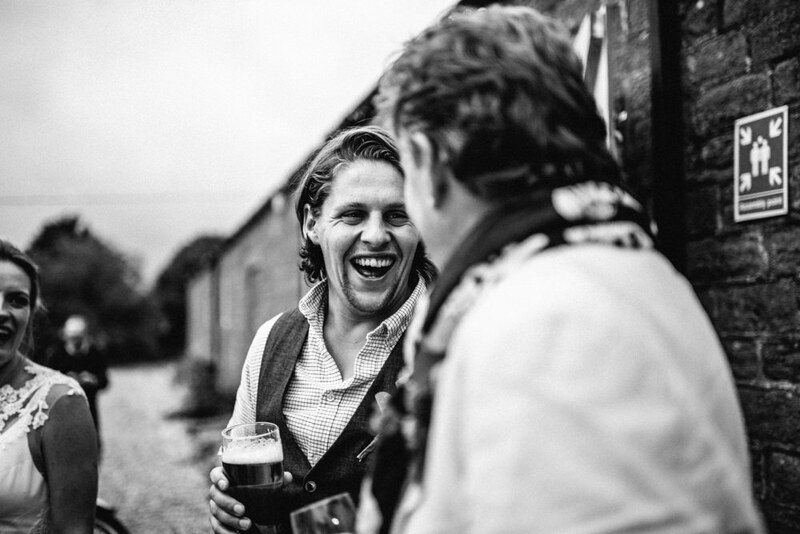 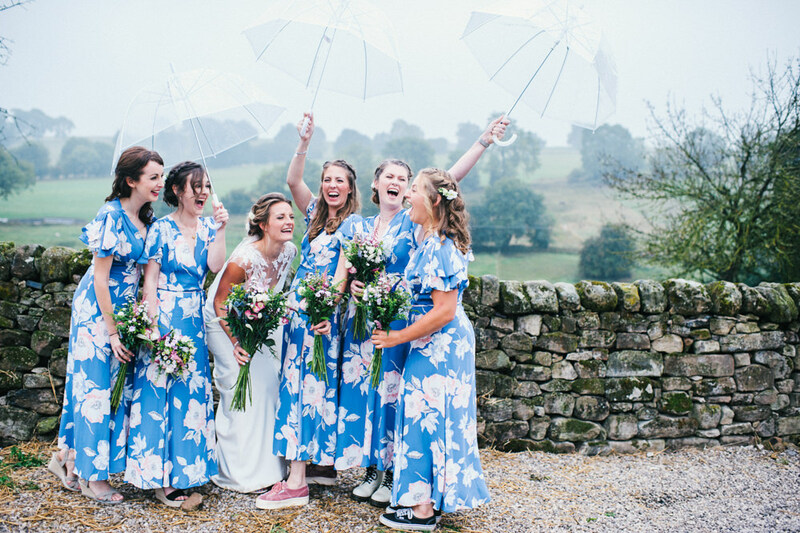 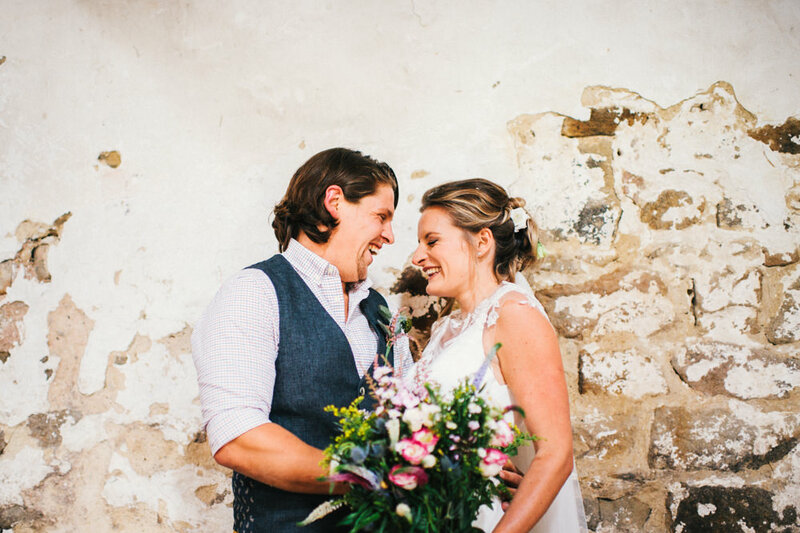 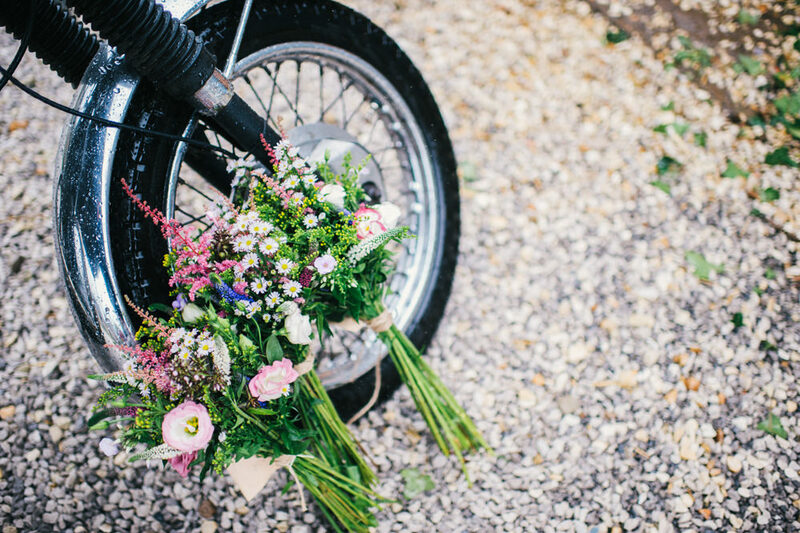 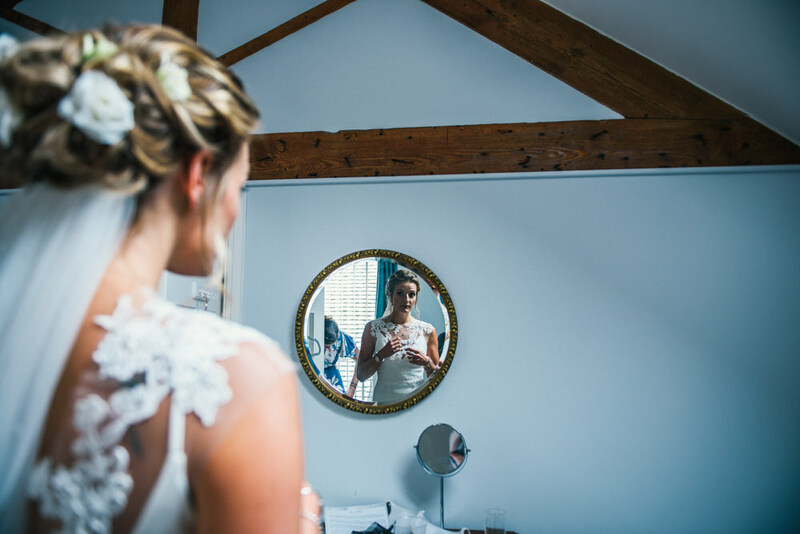 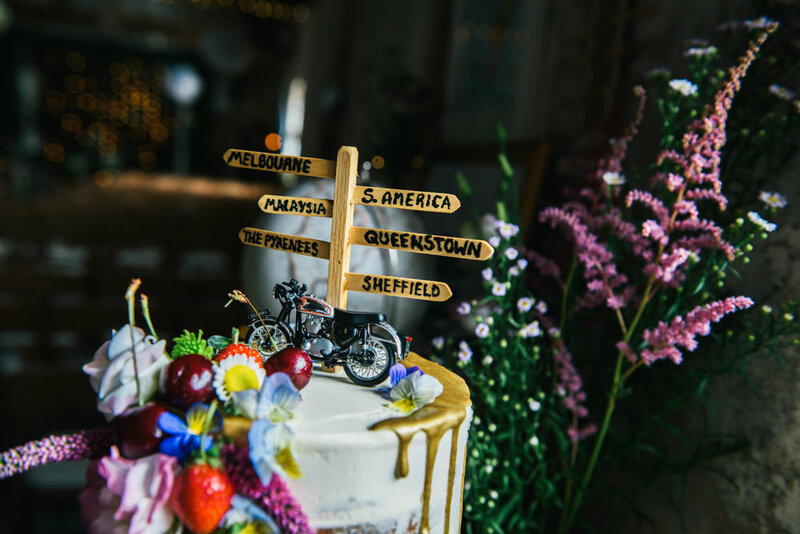 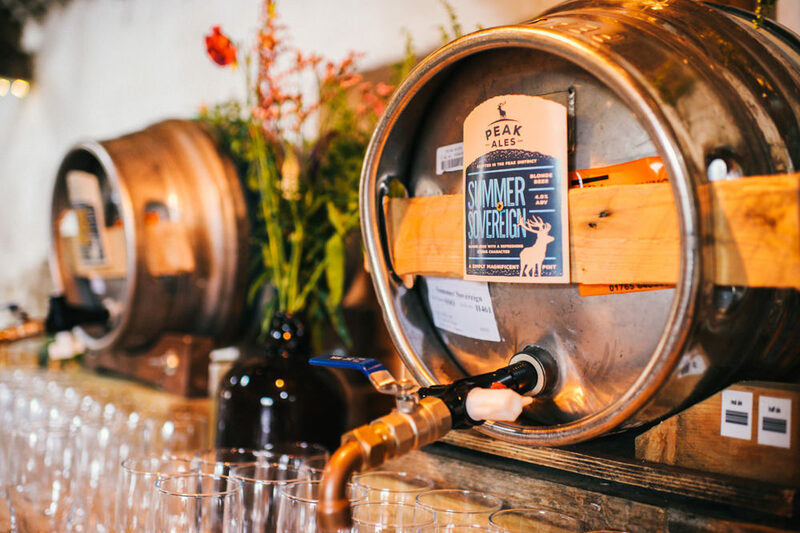 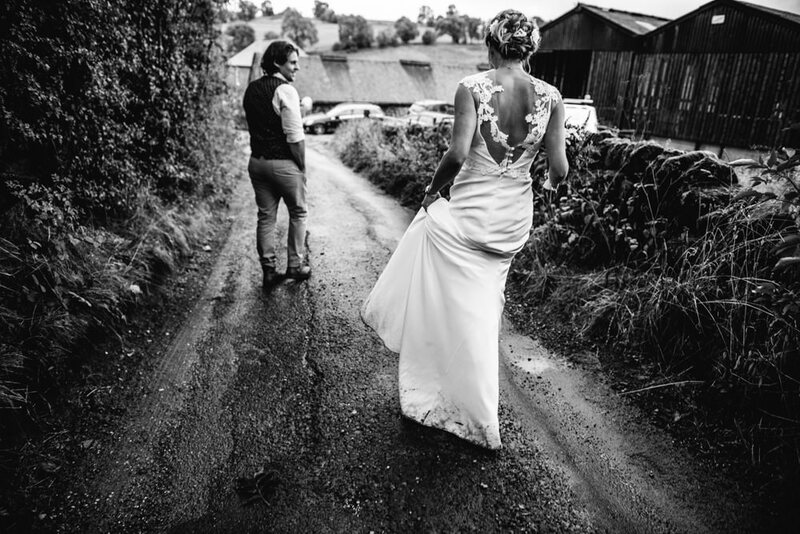 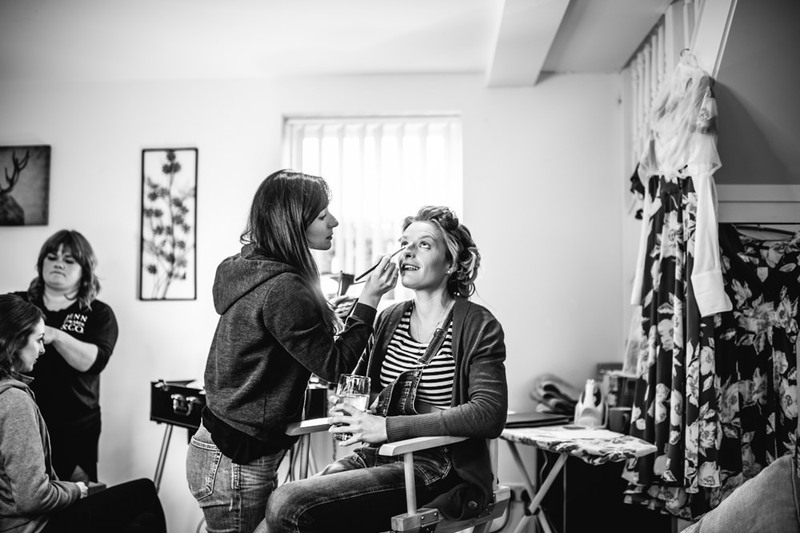 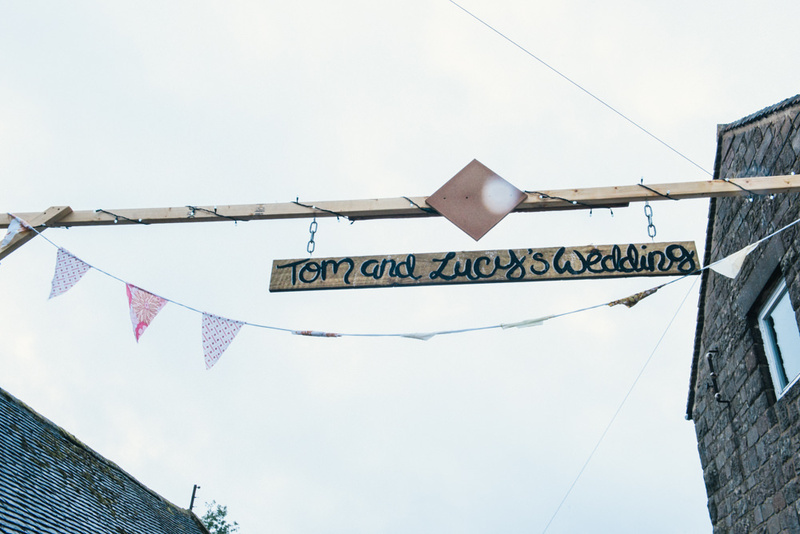 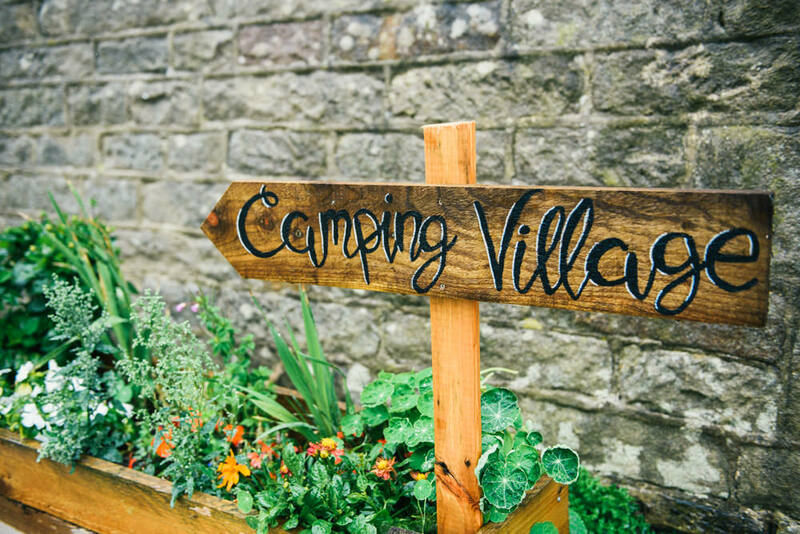 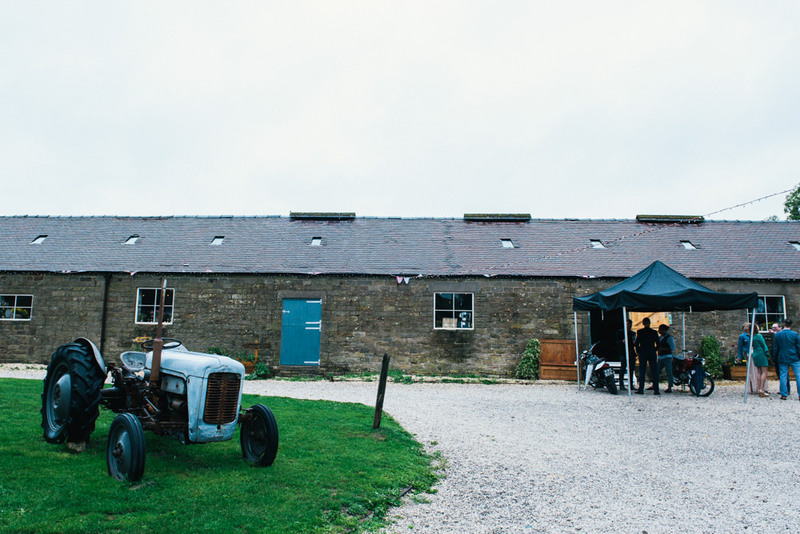 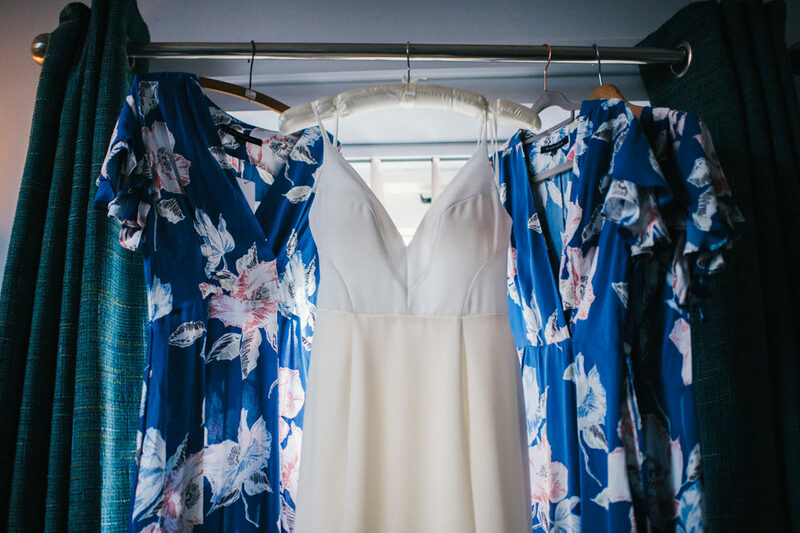 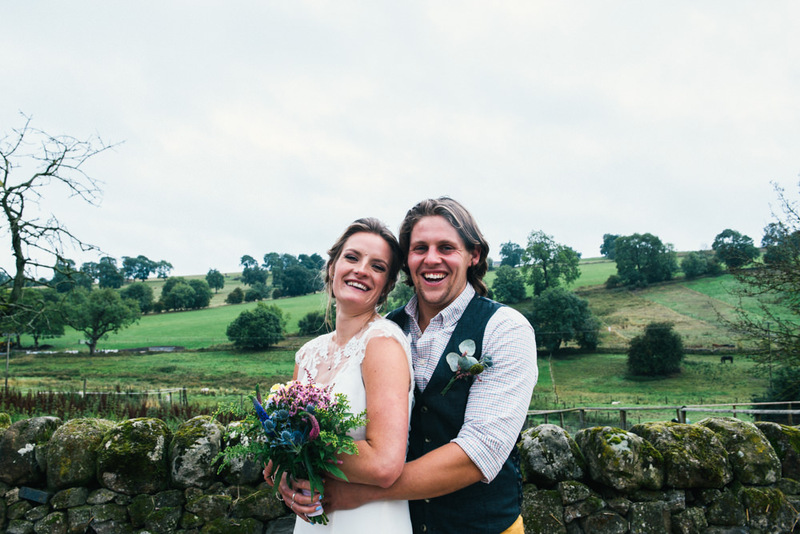 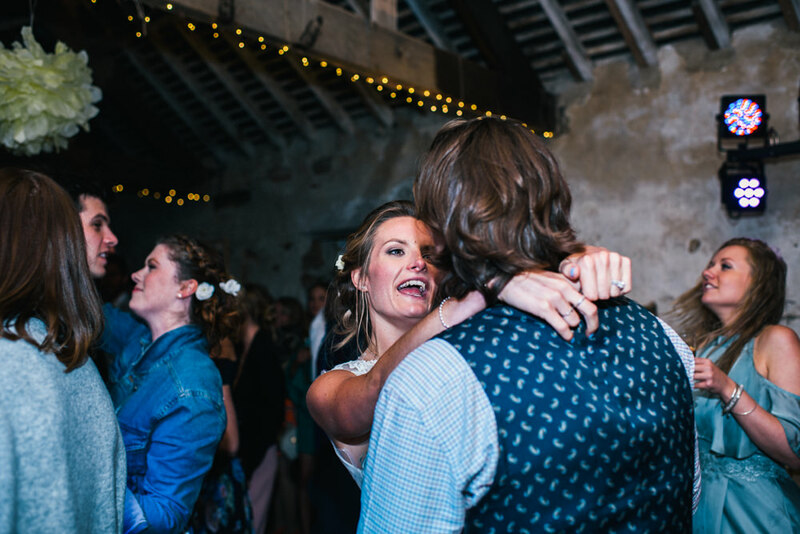 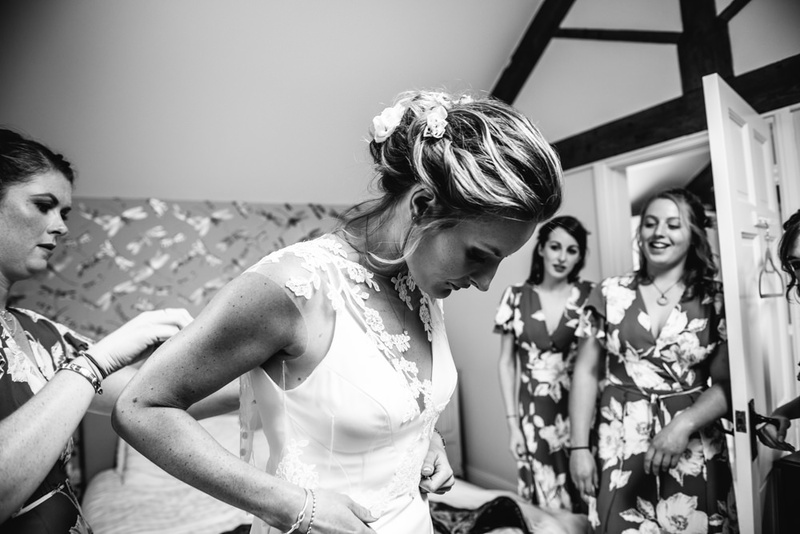 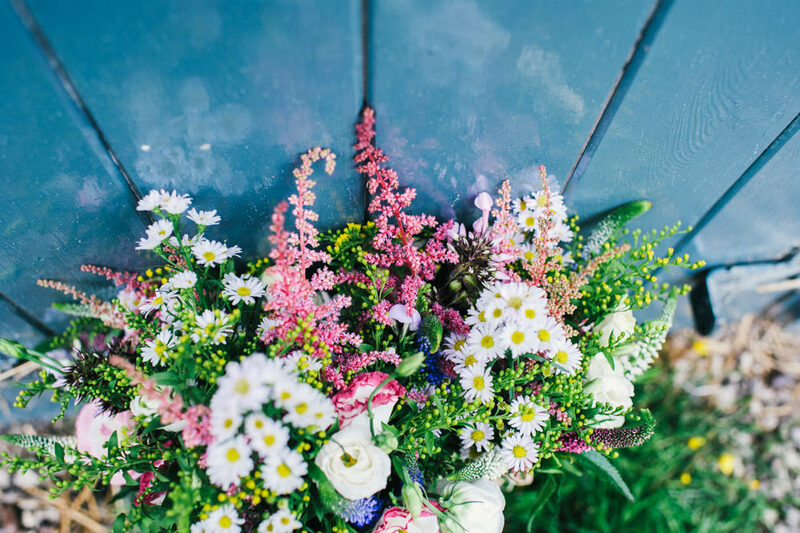 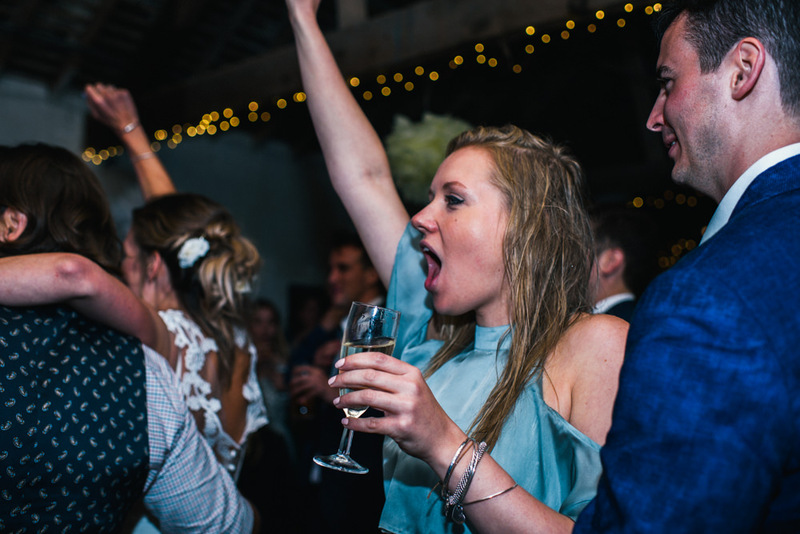 When Lucy and Tom first got in touch with me about their rustic barn wedding in Derbyshire, I was so excited – they were planning the most fun barn wedding with a humanist ceremony, a homemade bar and a live band. 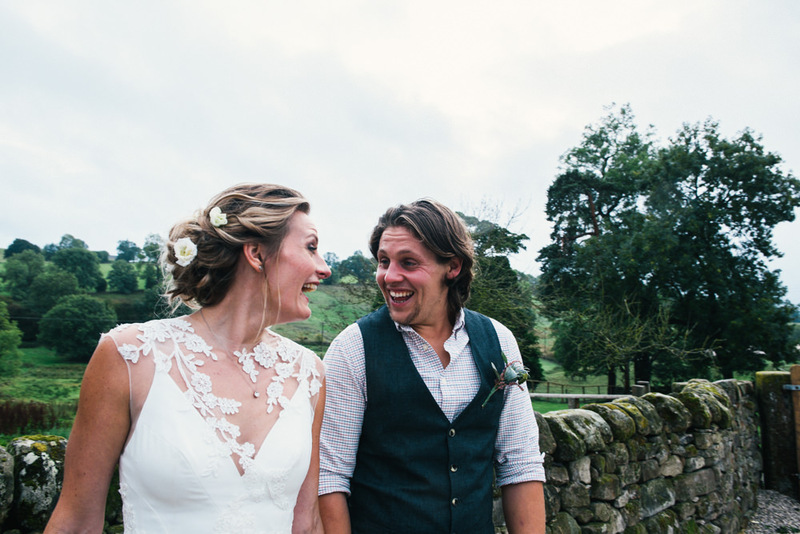 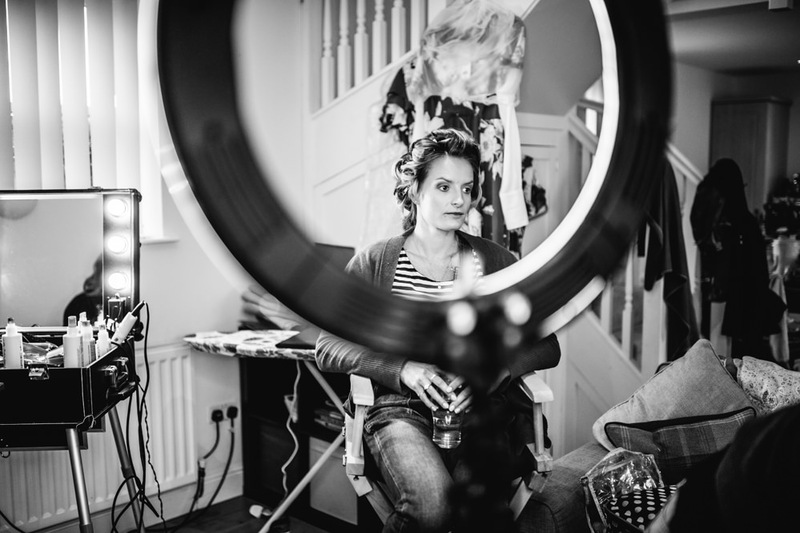 Lucy and Tom are the loveliest people and I couldn’t wait to shoot their wedding! 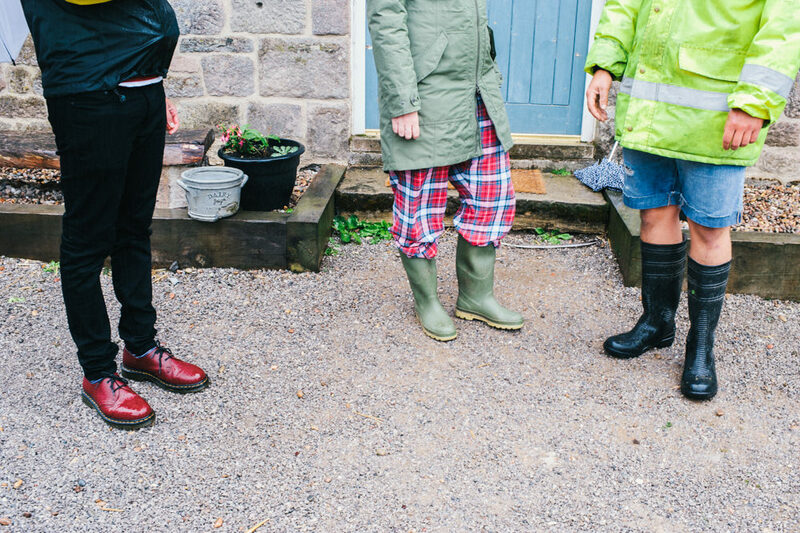 I rocked up at Gratton Grange Farm in the pouring rain so I donned the wellies and cagoule. 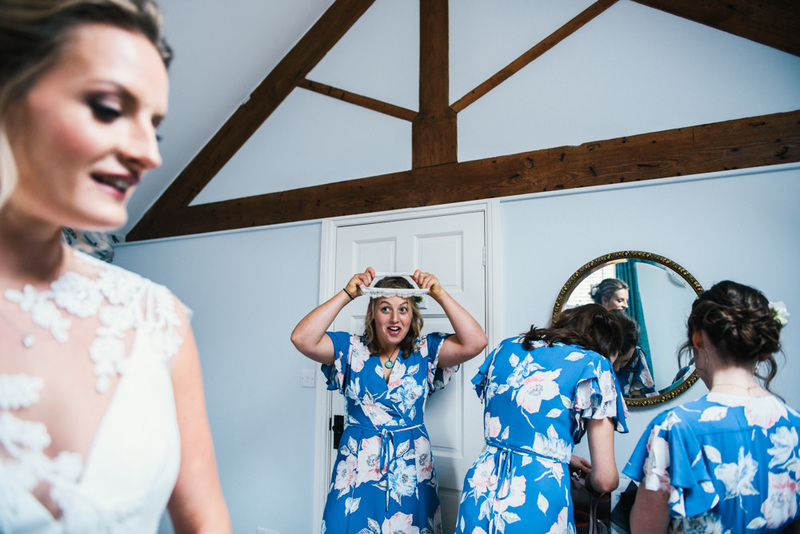 The girls were getting ready in the farm house and it was so relaxed, because everyone was in such a great mood. 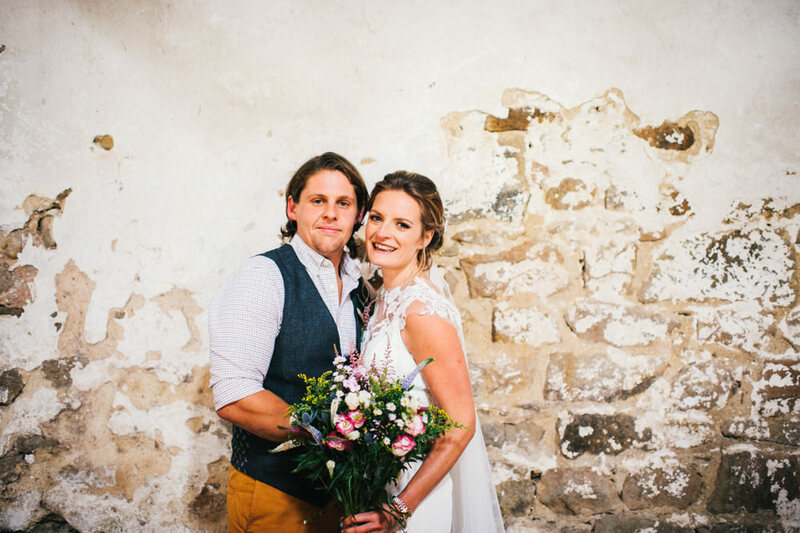 Lucy wore a stunning dress from White Room Bridal and Tom wore a fab tweed waistcoat and tie and they looked super dapper. 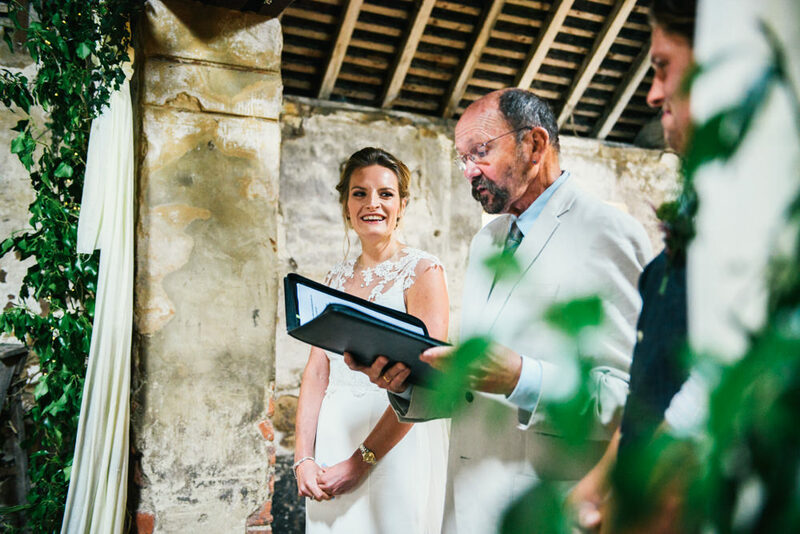 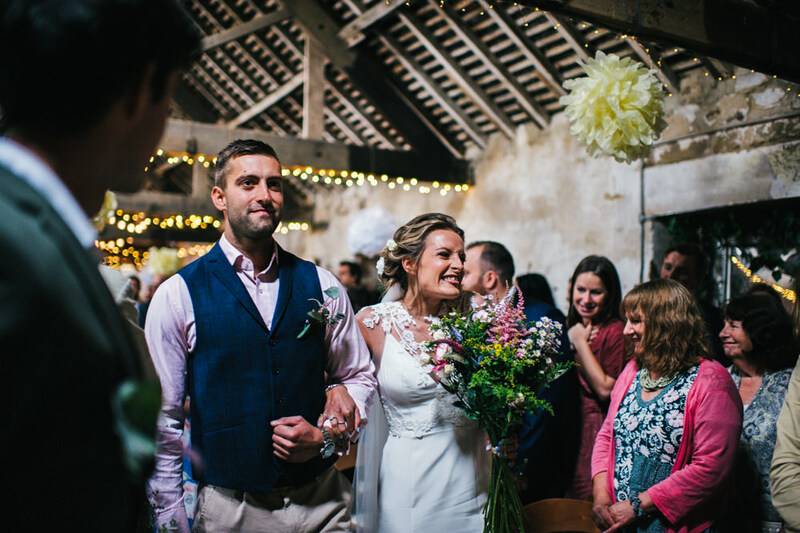 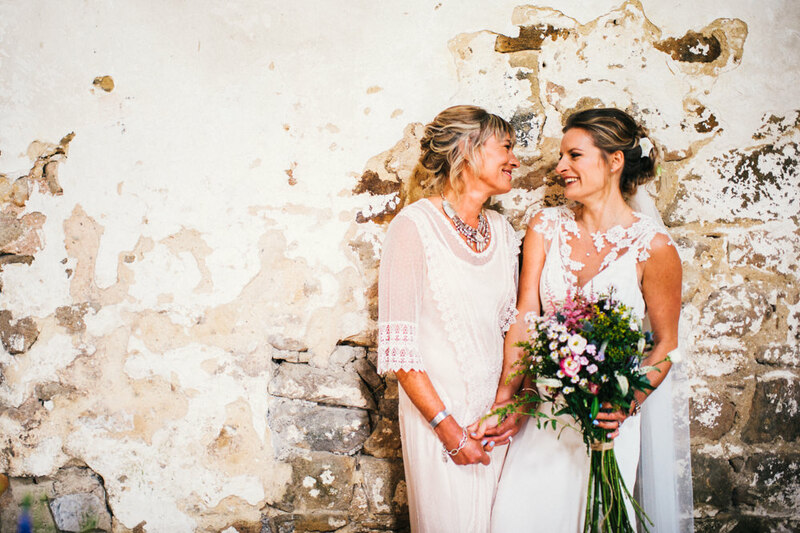 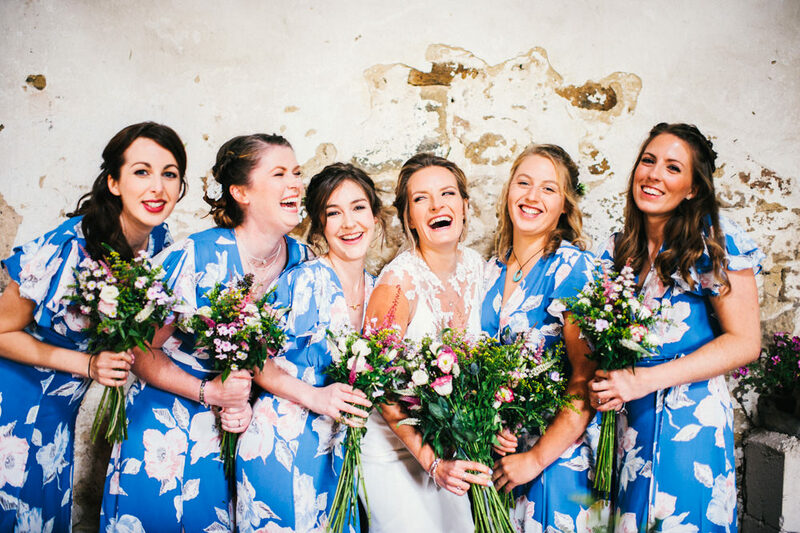 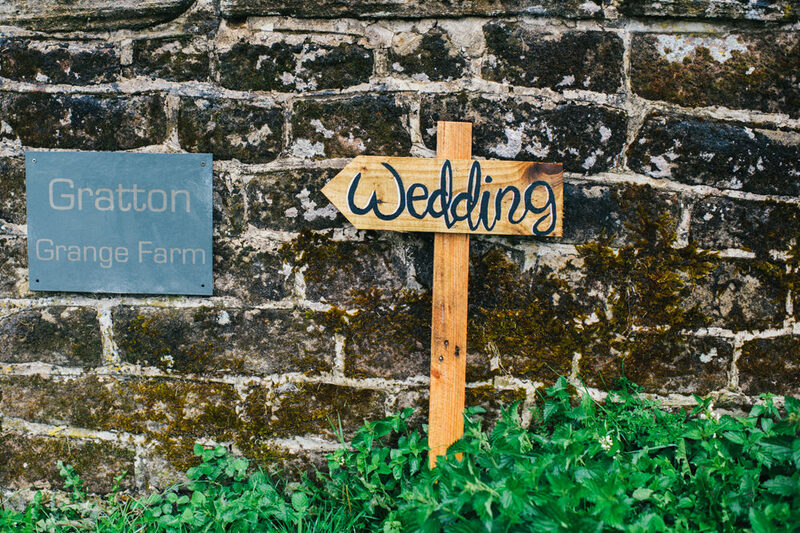 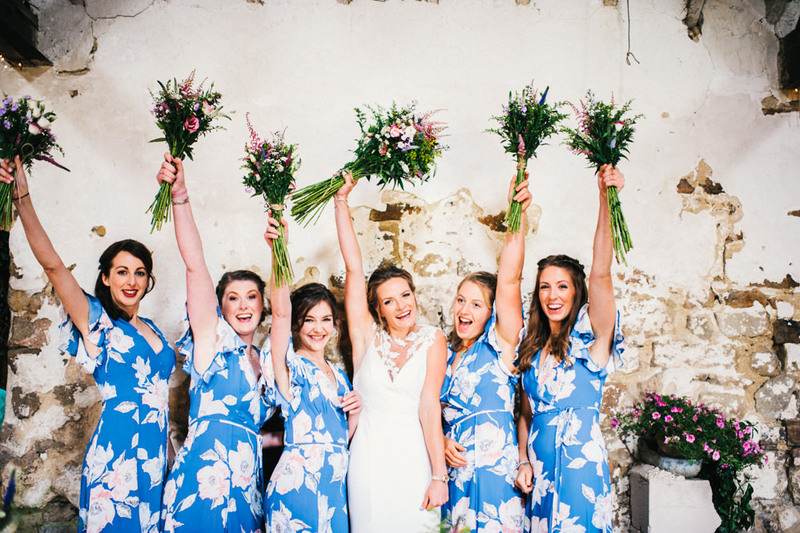 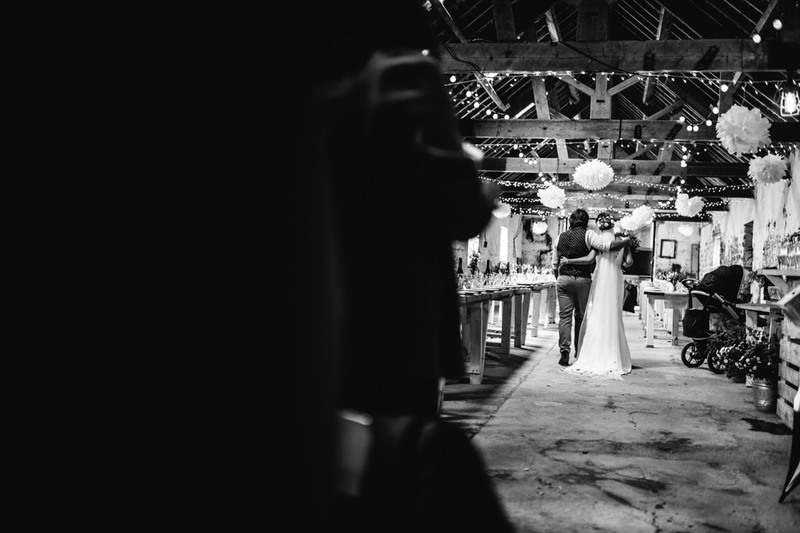 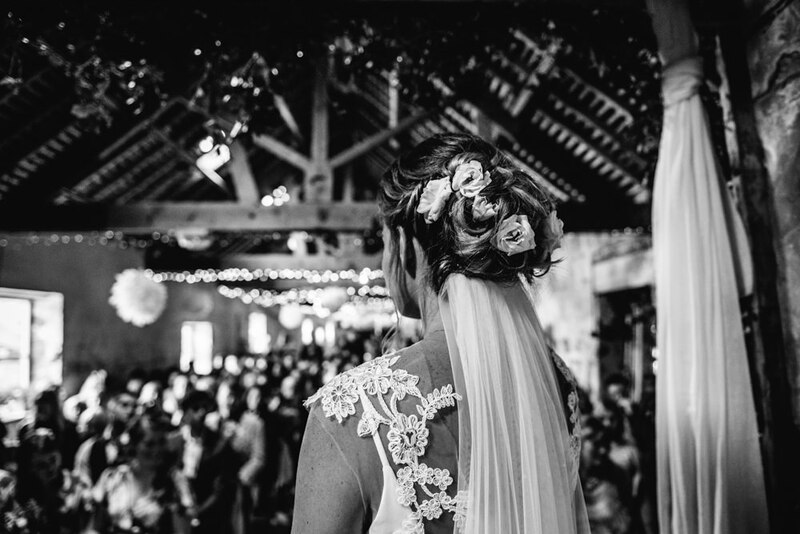 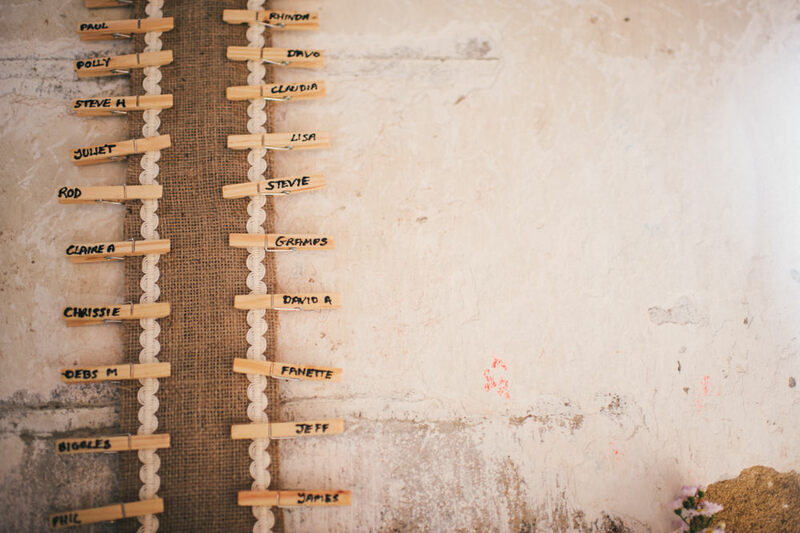 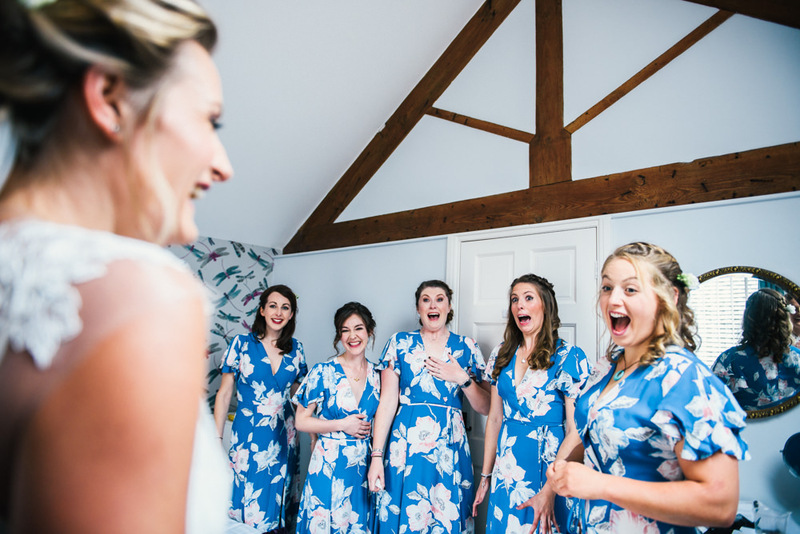 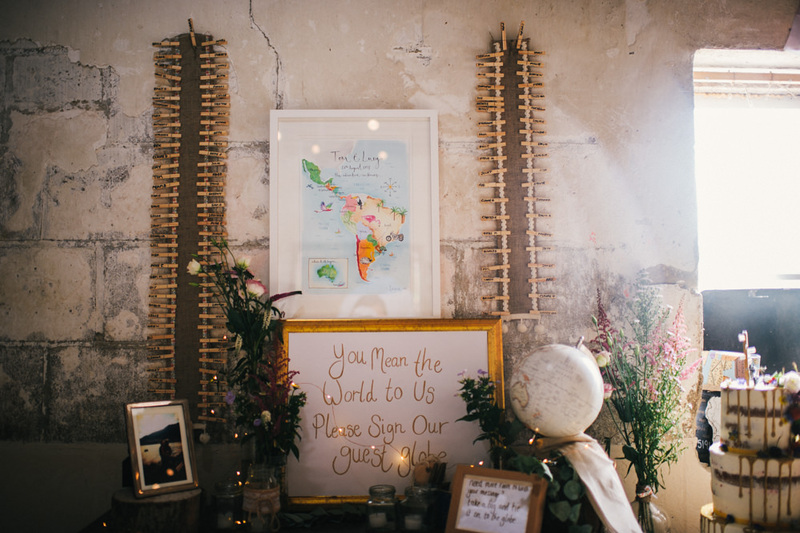 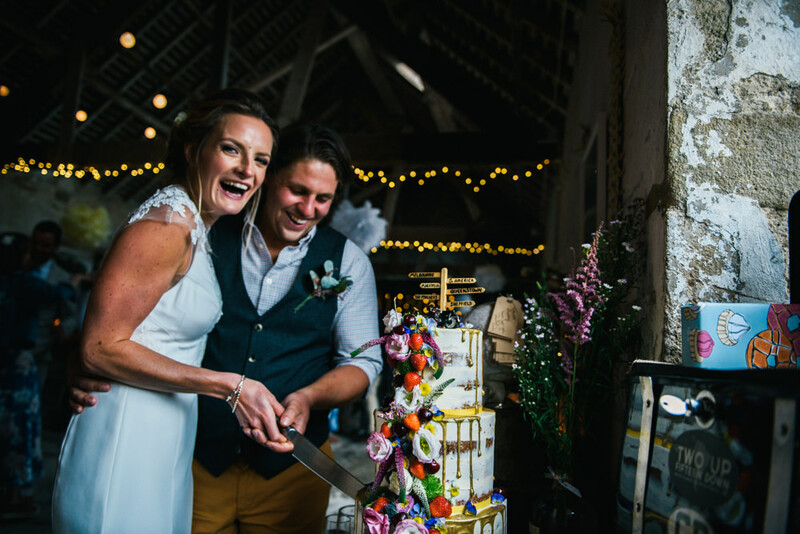 The wedding took place at Gratton Grange Farm, in a huge rustic barn which was so bright and full of character. 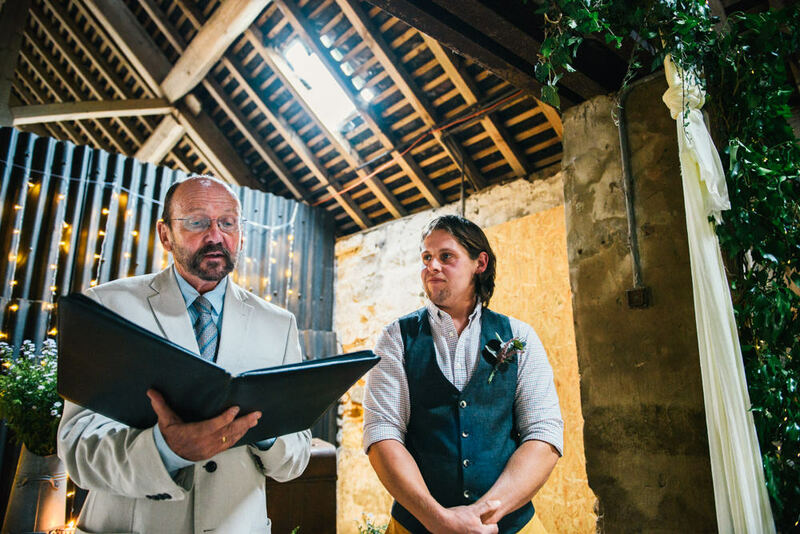 They had a beautiful humanist ceremony so really personal and intimate. 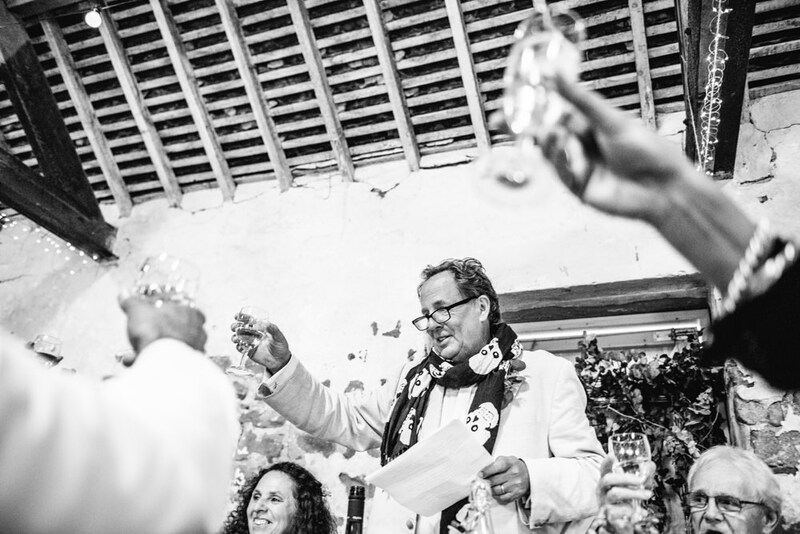 They had some beautiful readings, which brought pretty much everyone to tears, including me! 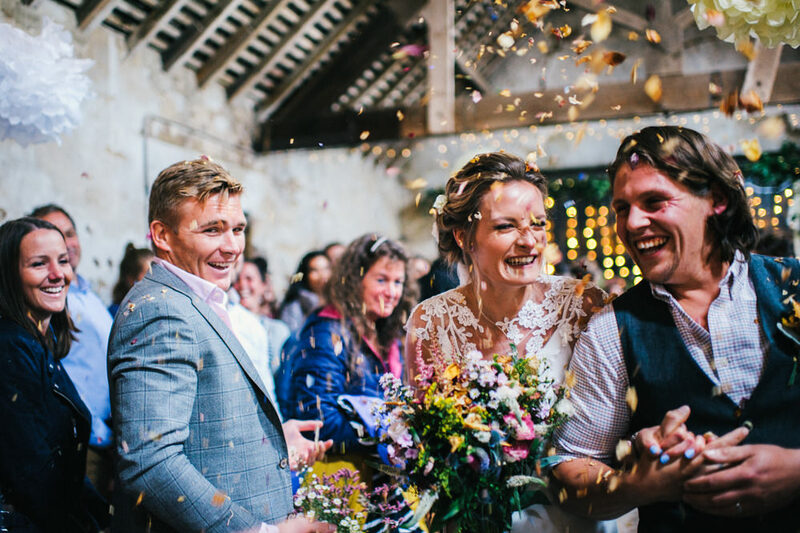 After the ceremony they walked back down the aisle together and were showered with homemade confetti, and then the celebrations began. 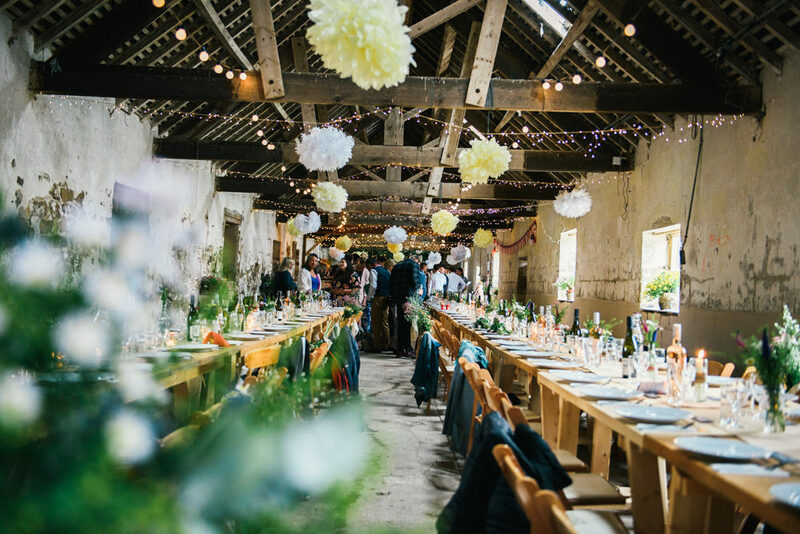 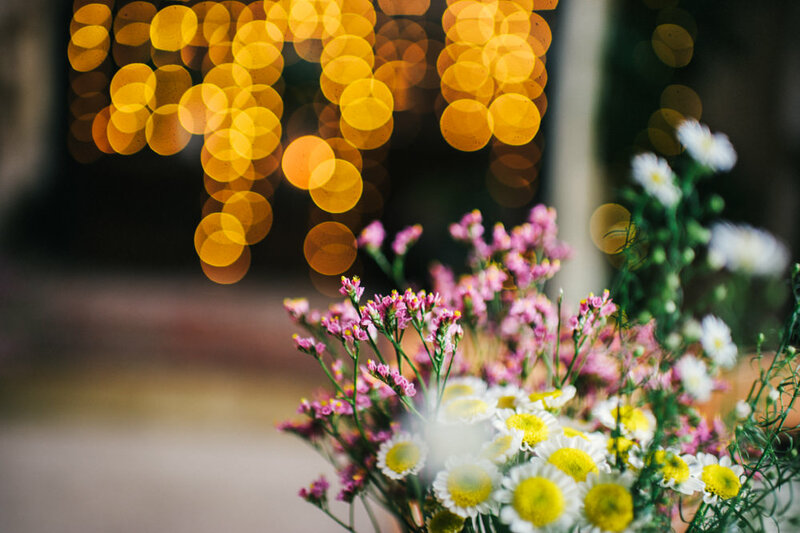 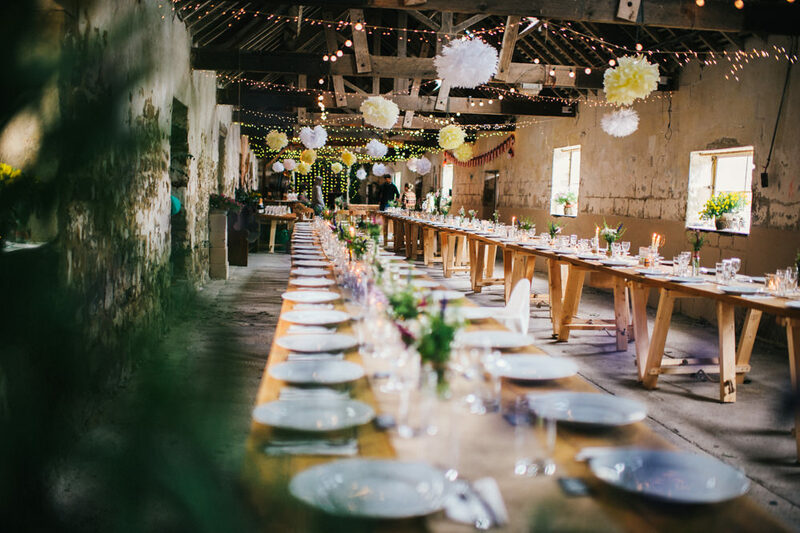 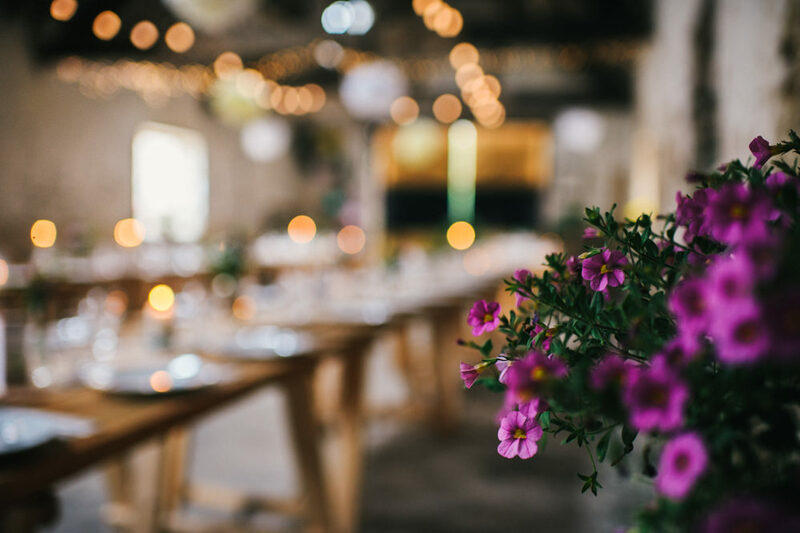 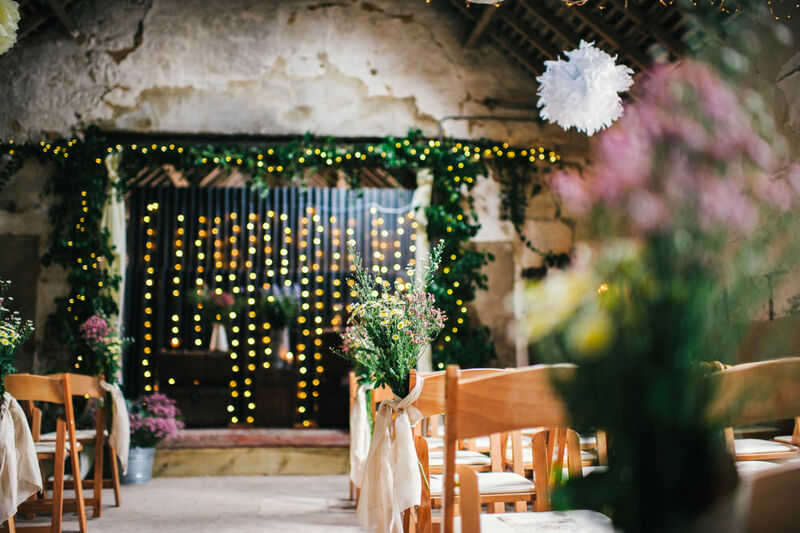 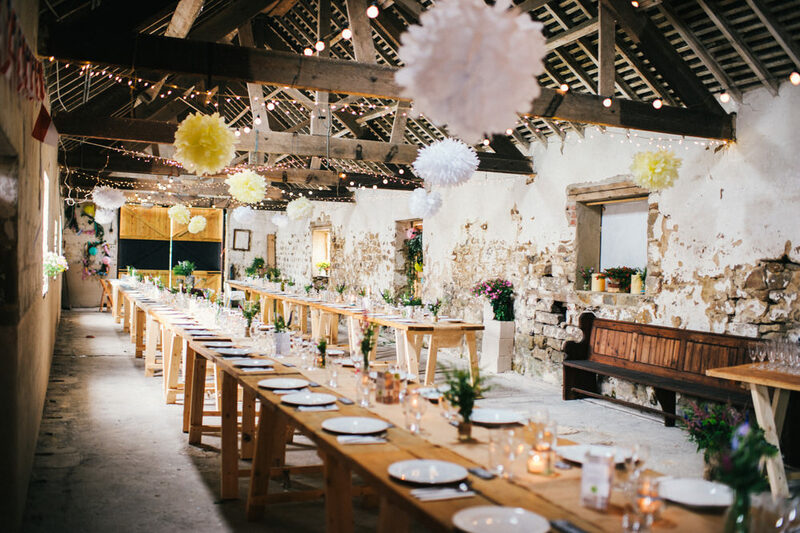 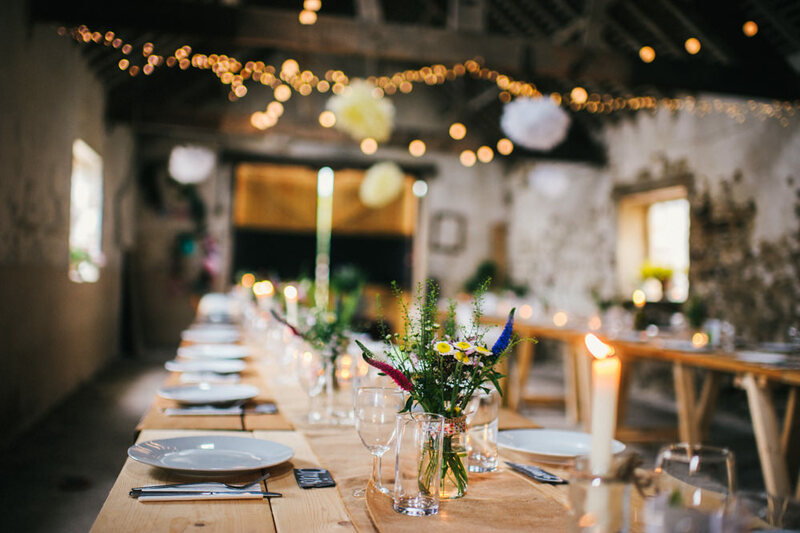 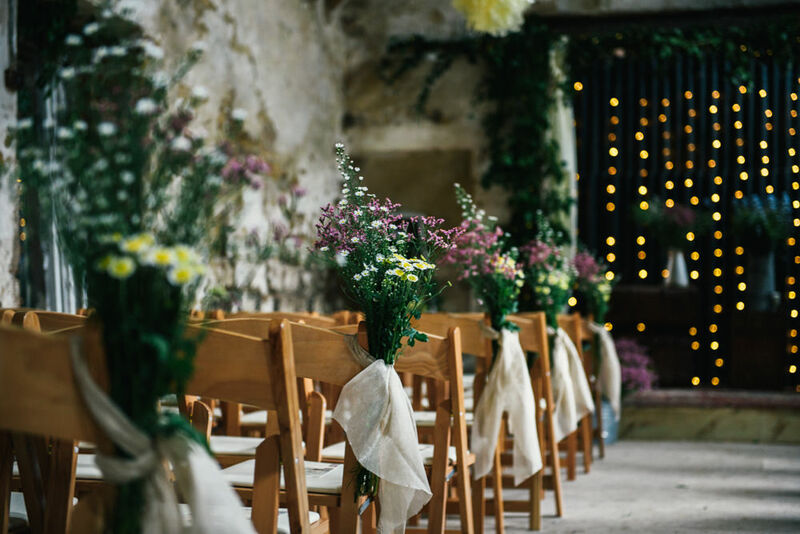 The wedding reception took place in the stunning rustic barn, which they’d decorated with fairy lights, wild flowers and candles. 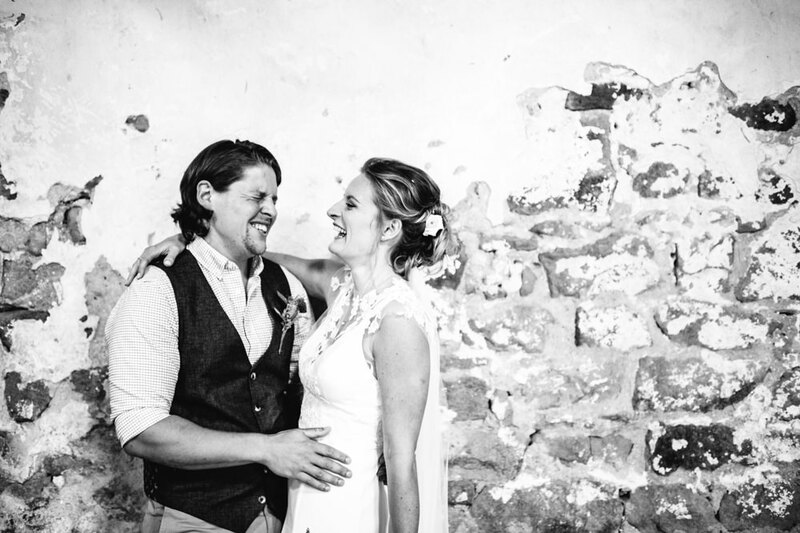 It was seriously incredible! 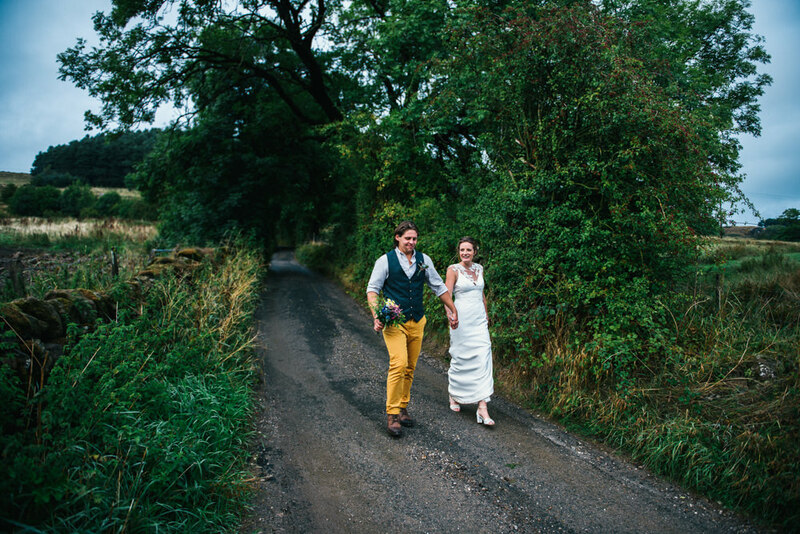 It was a rainy day, which wasn’t in the plan but the couple didn’t mind one bit. 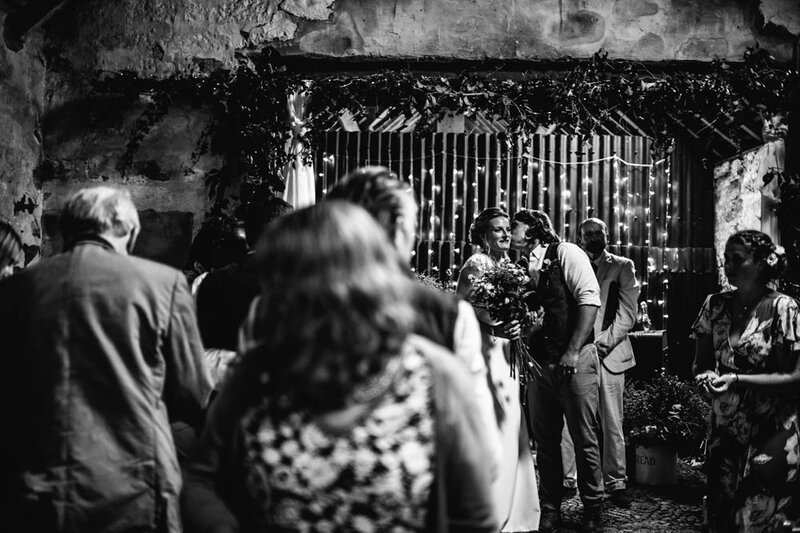 While the guests enjoyed meze boats and fizz, the couple mingled while I took some great candids. 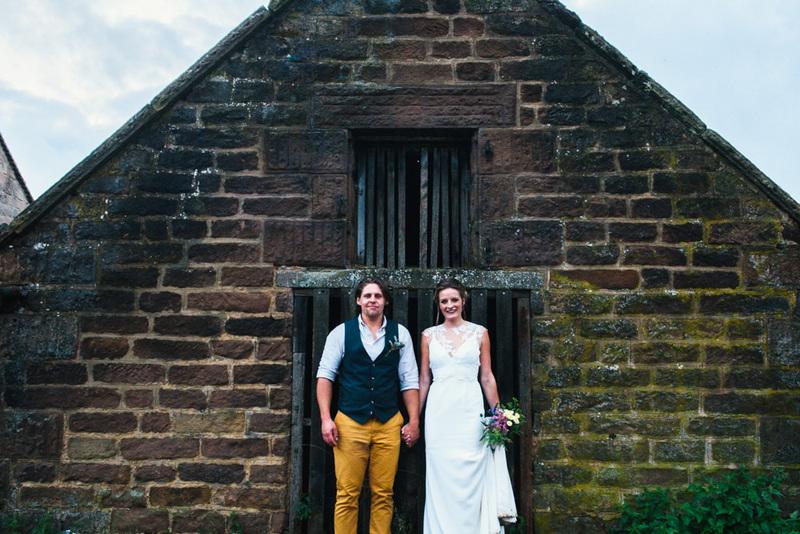 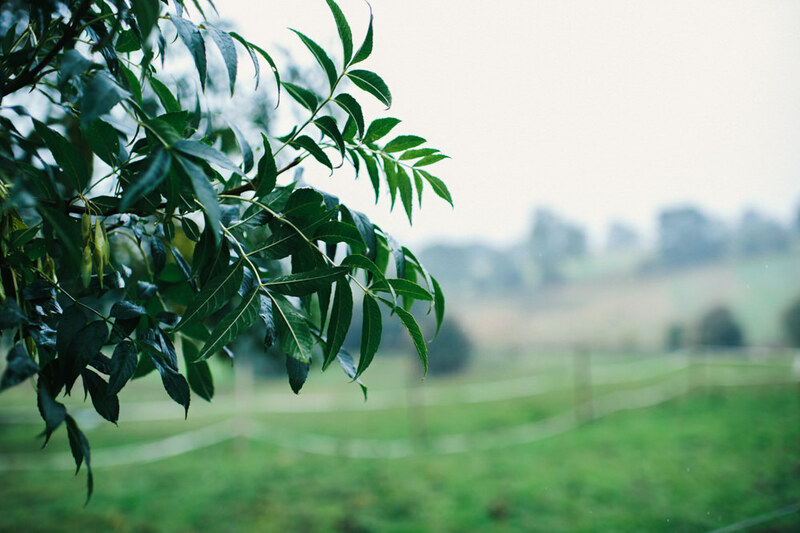 The rained stopped for a bit so we ventured off round the venue & took some fab couple shots. 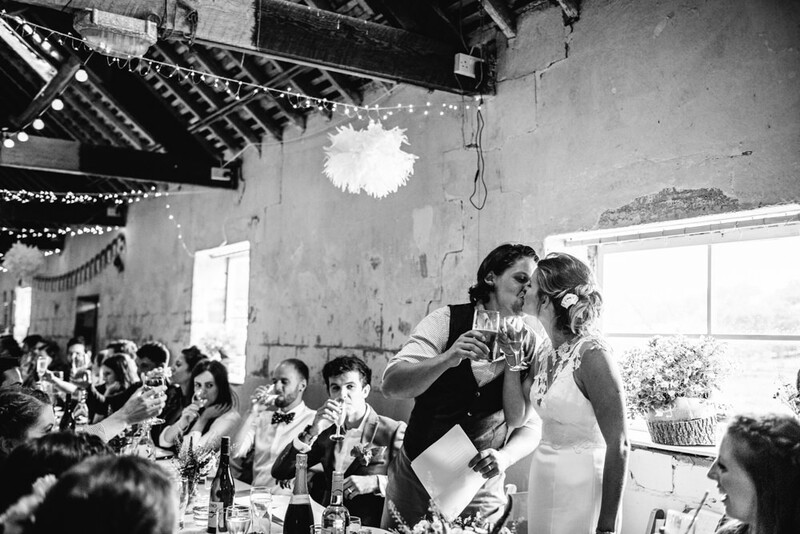 During the reception they had a homemade bar, which went down a storm. 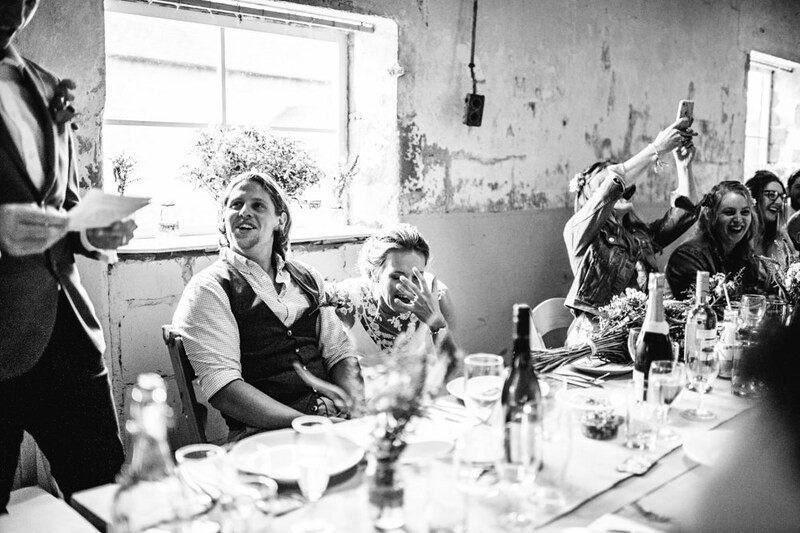 For dinner they had a slap up meal by The Real Junk Food team. 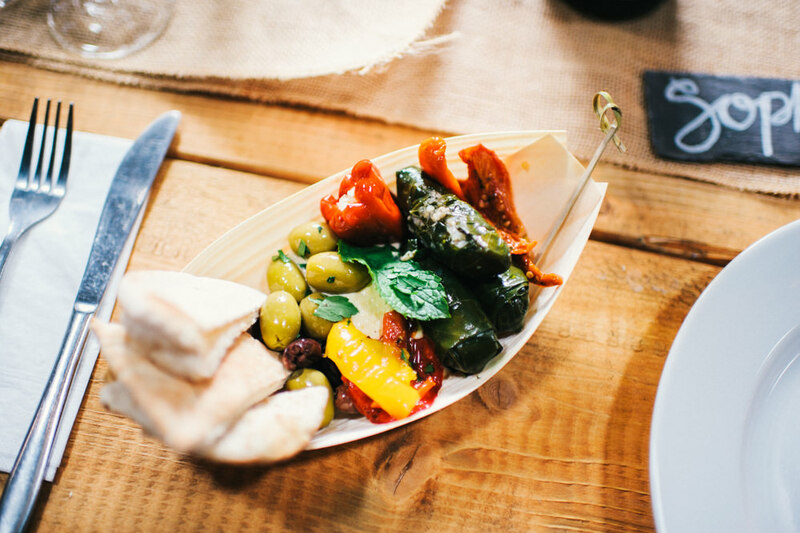 Sheffield based & they save unwanted food from supermarkets and whip up incredible meals. 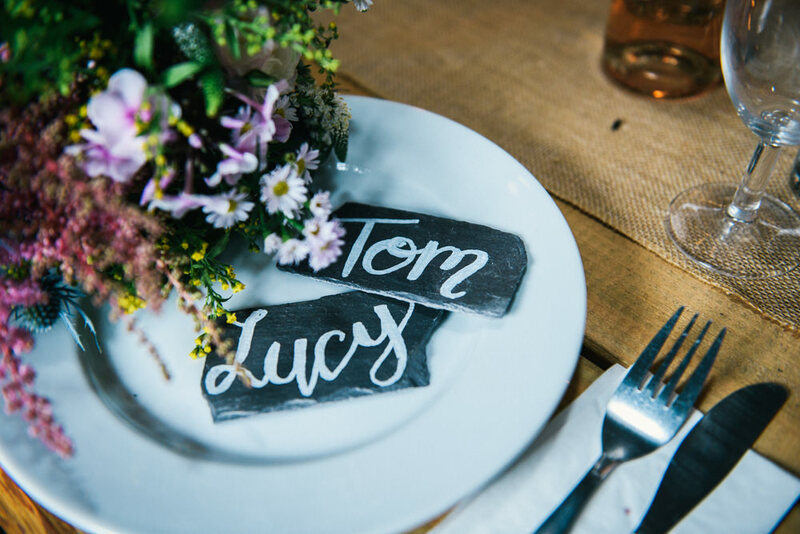 It was super yummy as I got a plate full too. 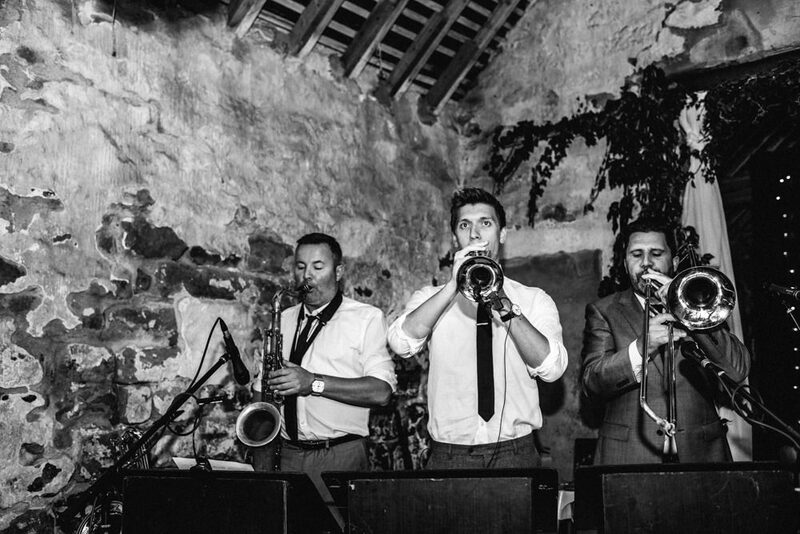 After dinner they had some brilliant speeches which had everyone in stitches, then the party got started and the band kicked off the evening.